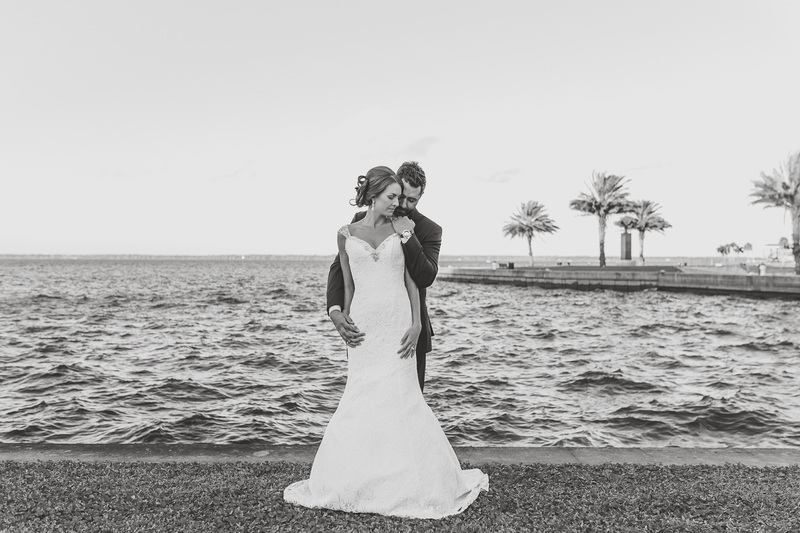 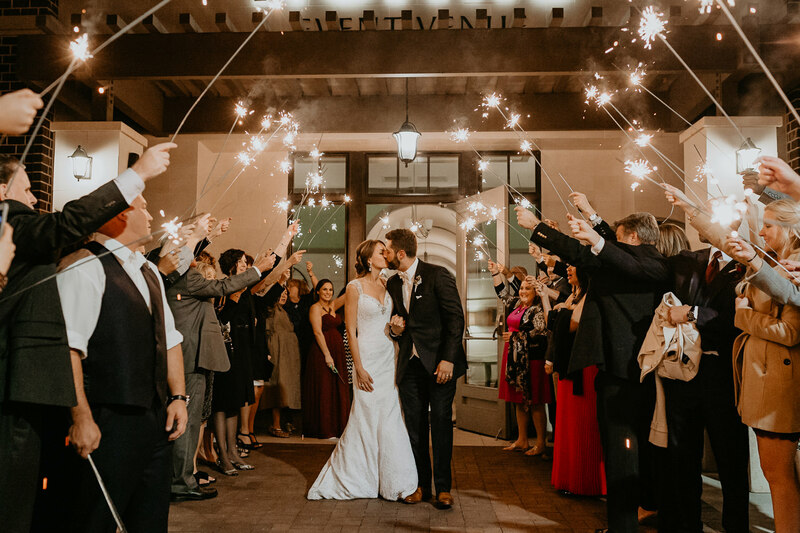 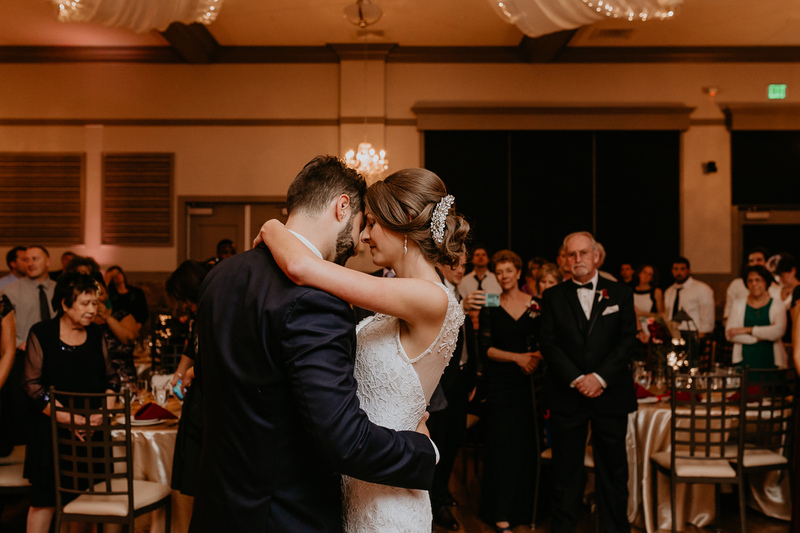 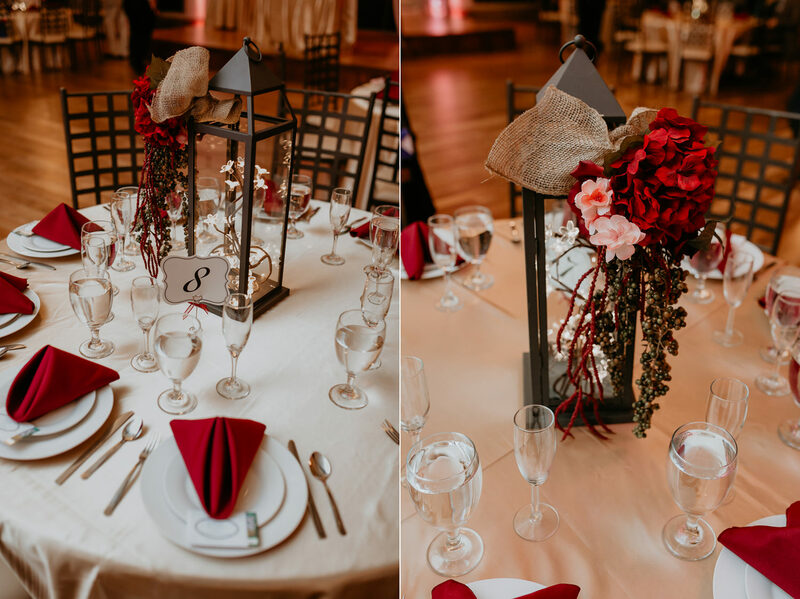 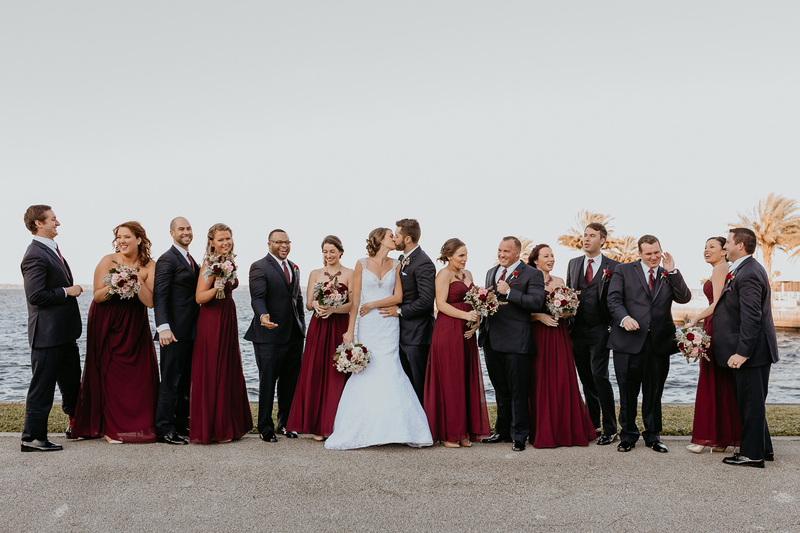 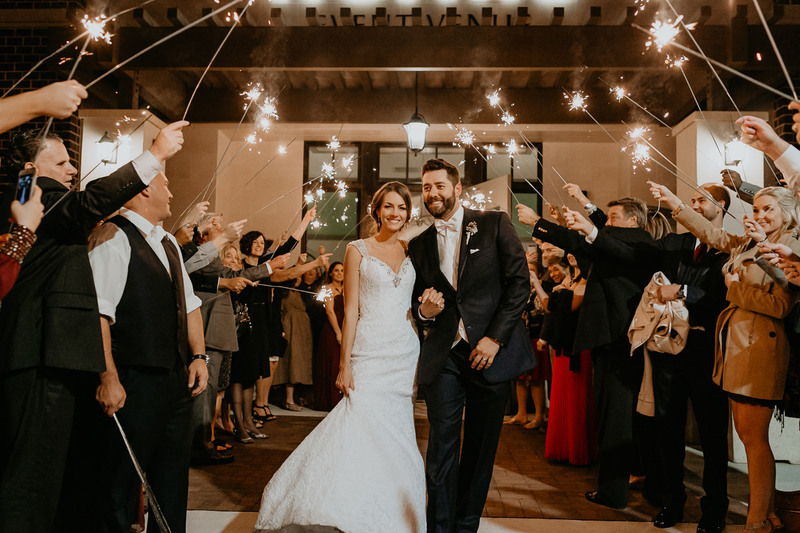 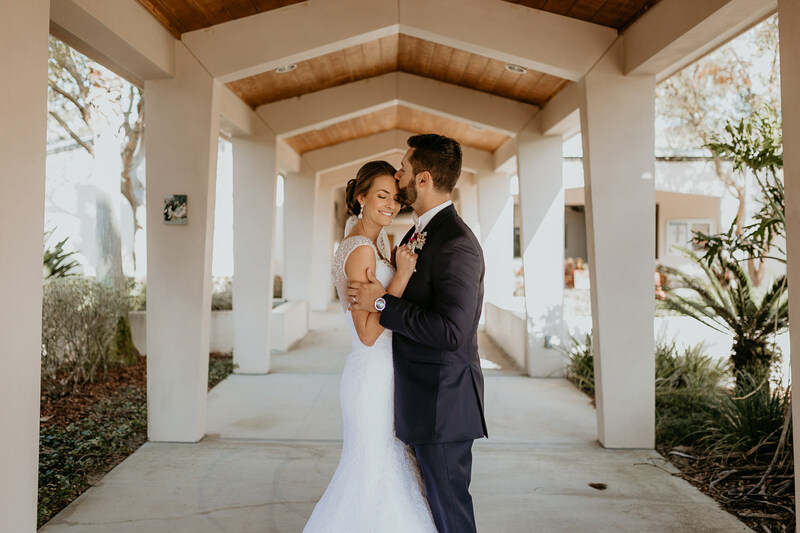 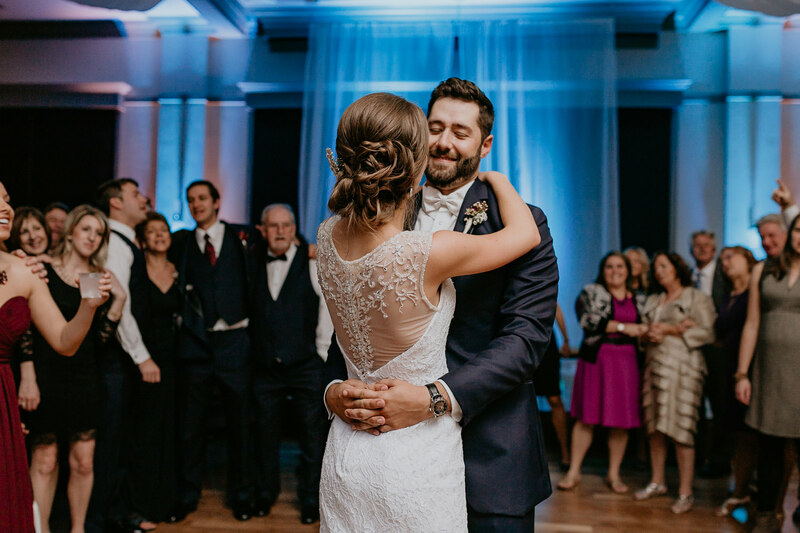 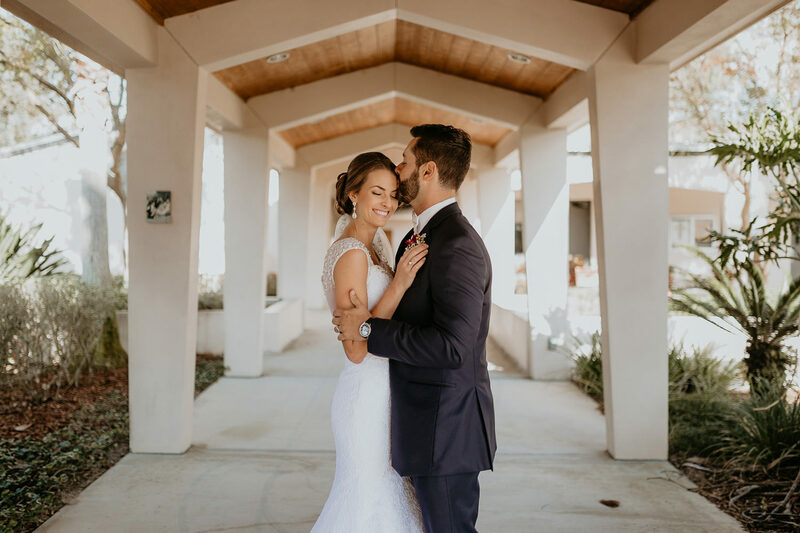 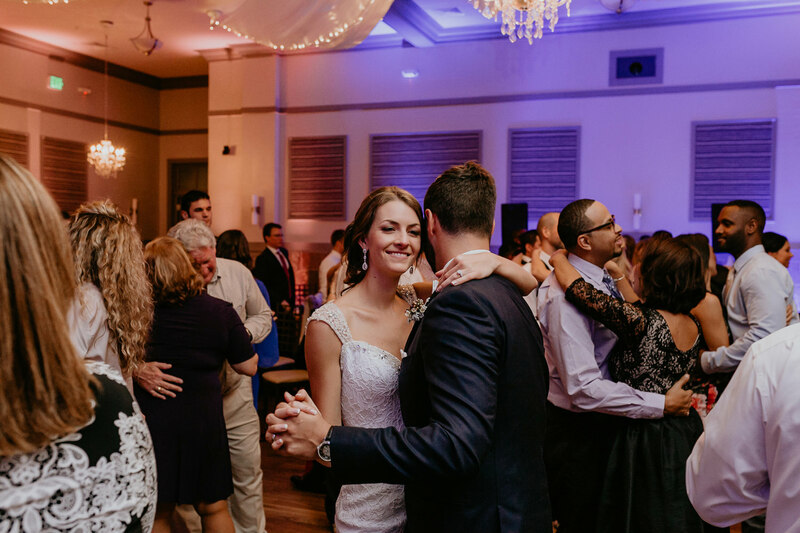 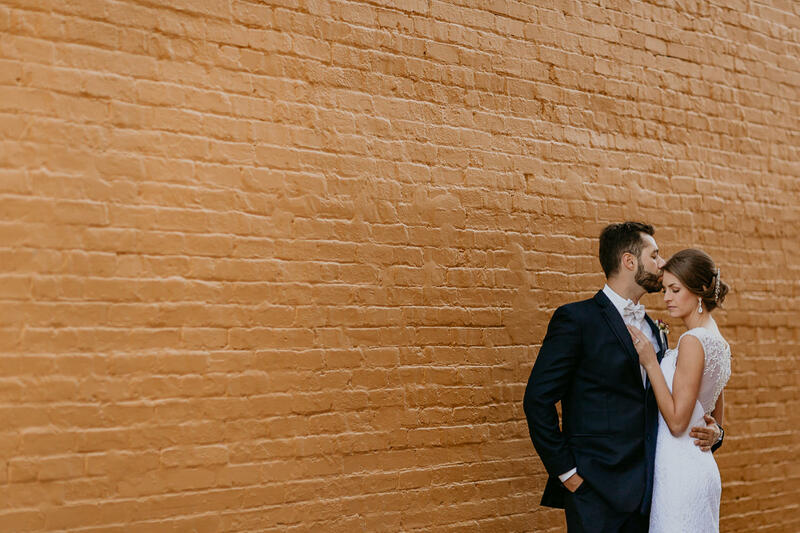 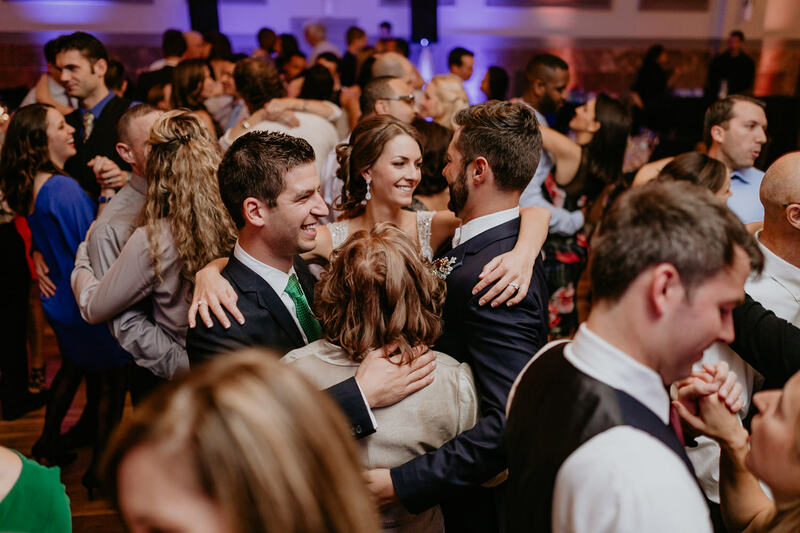 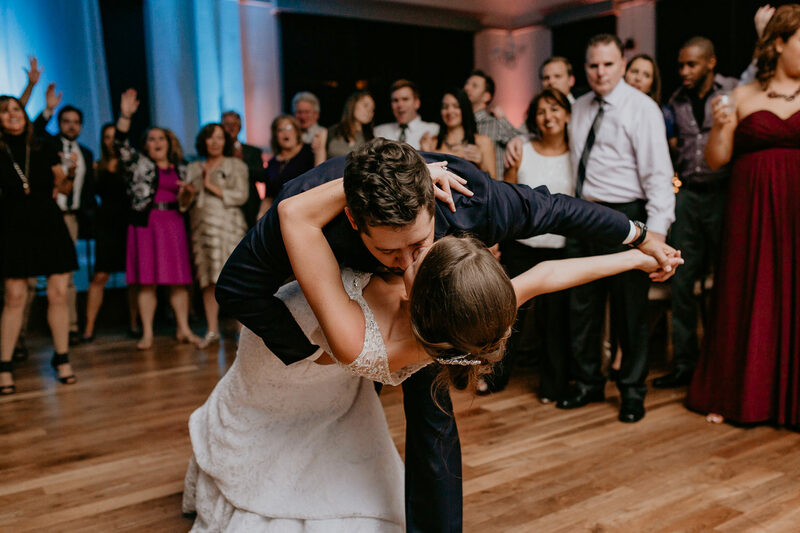 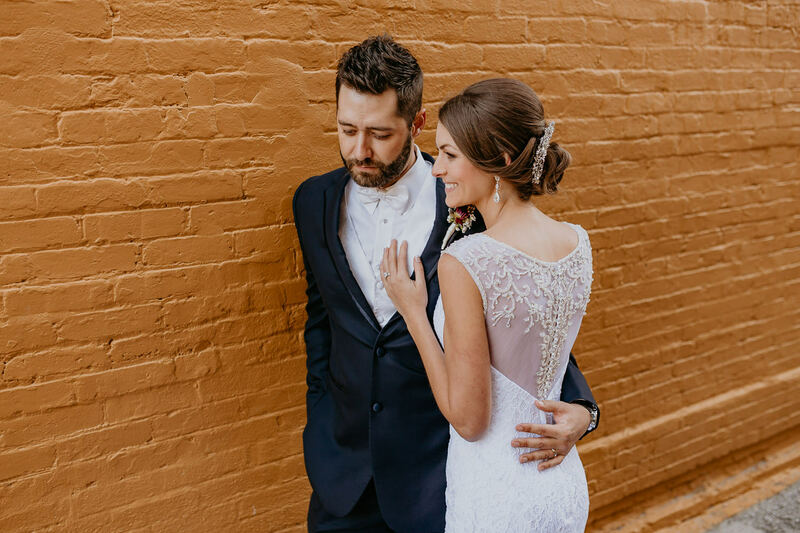 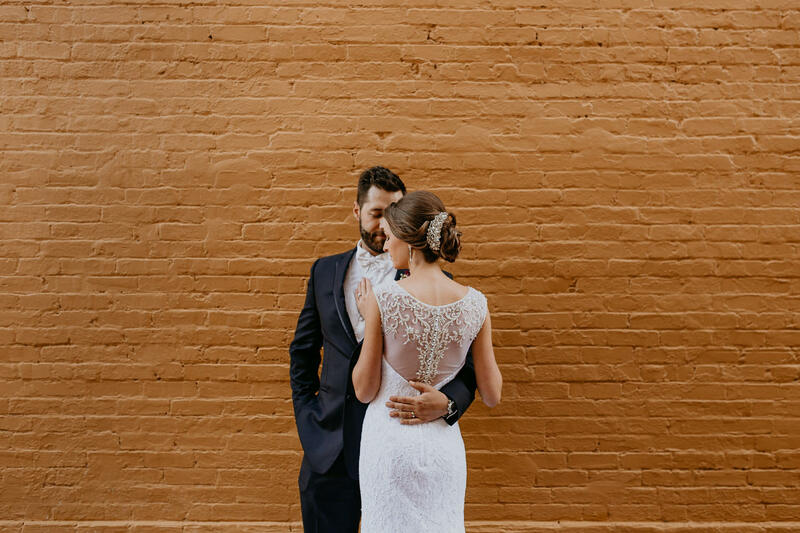 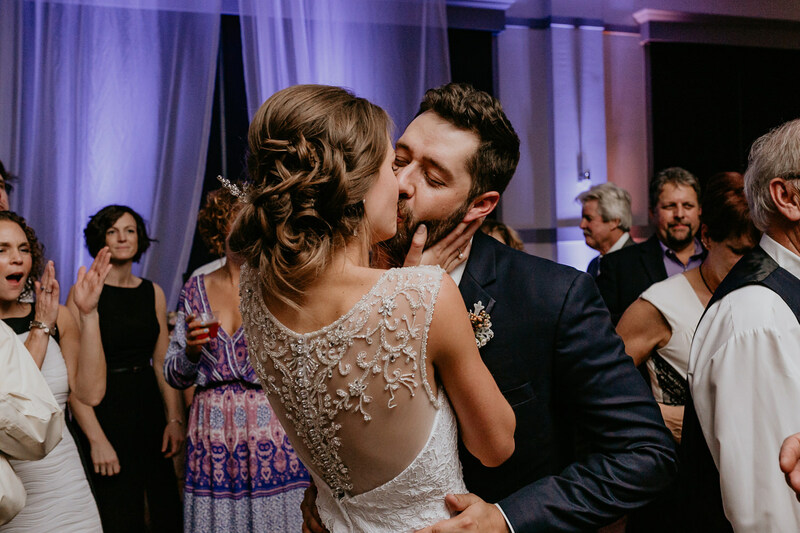 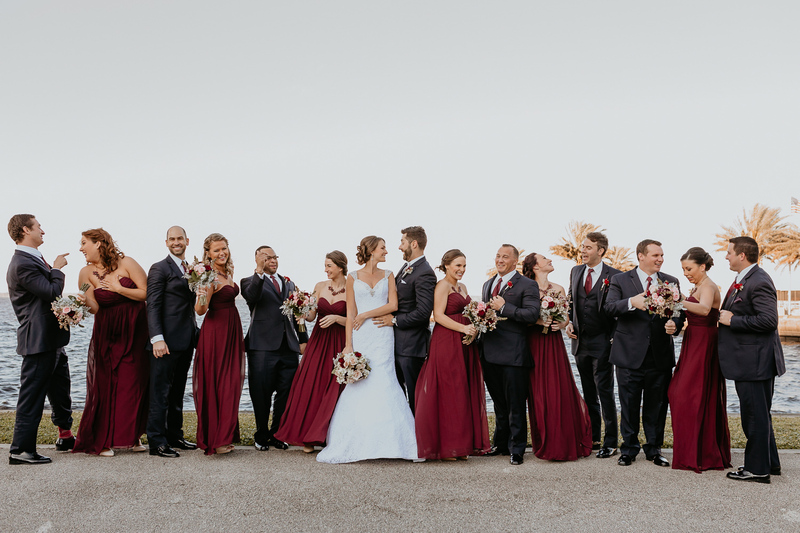 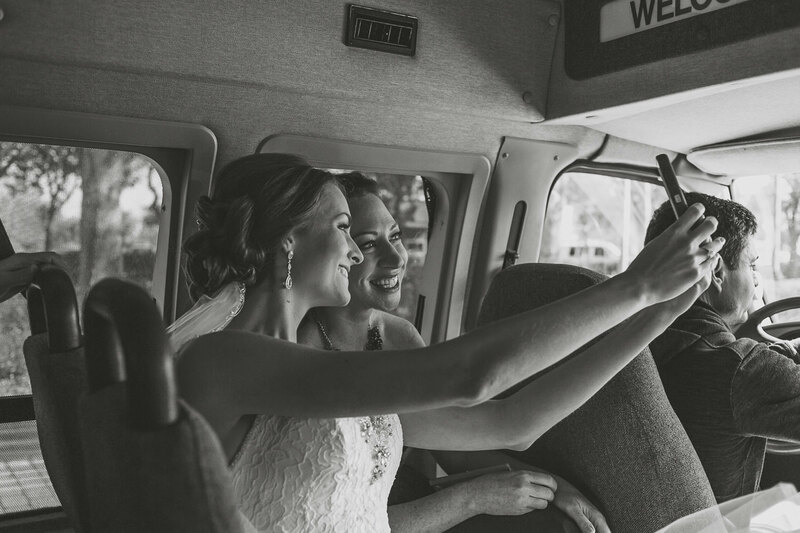 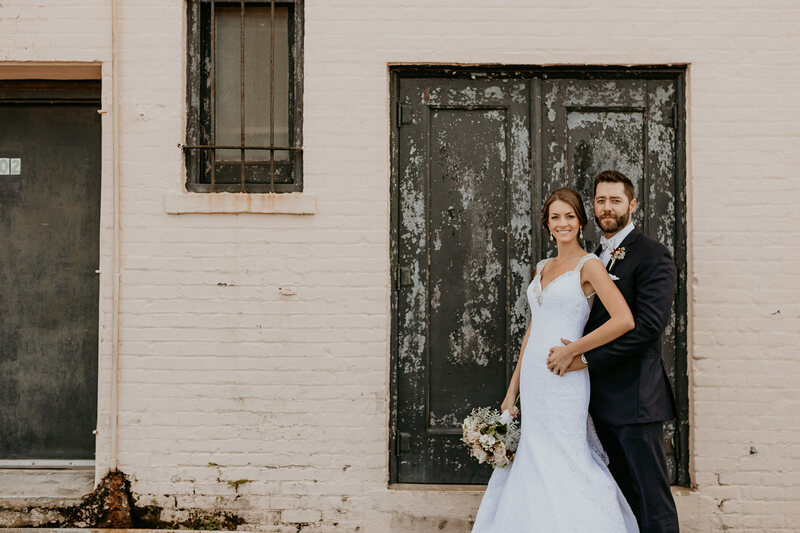 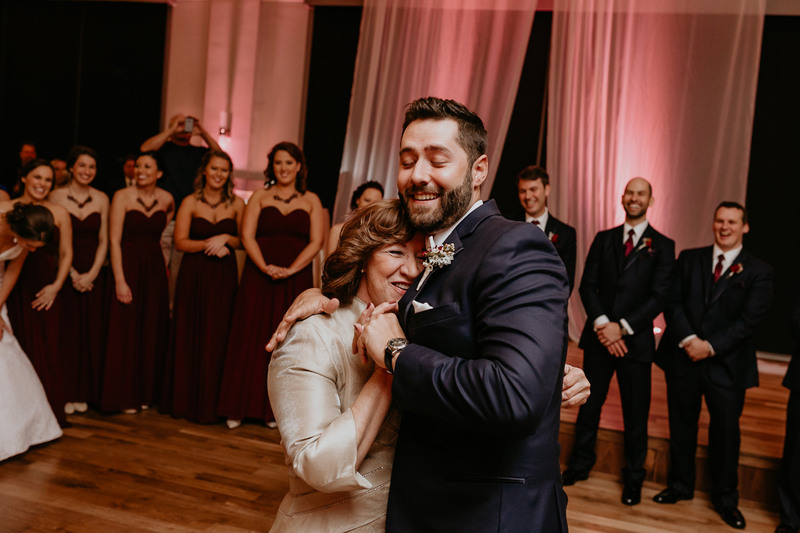 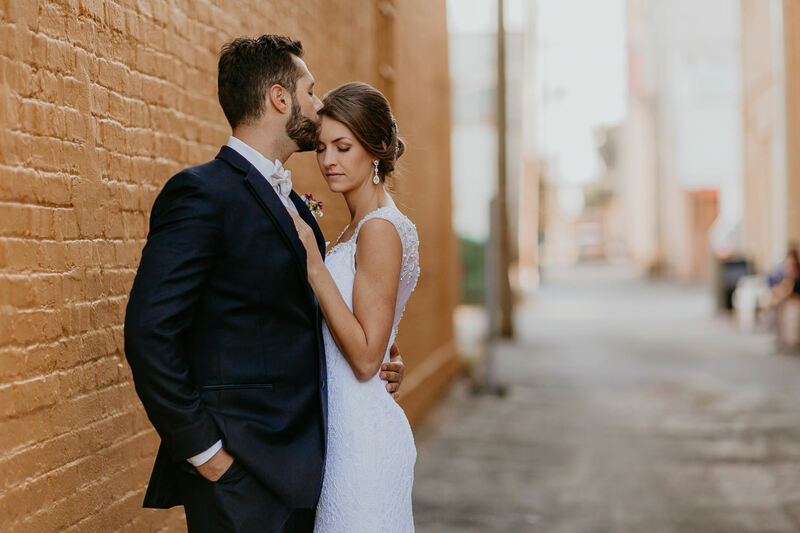 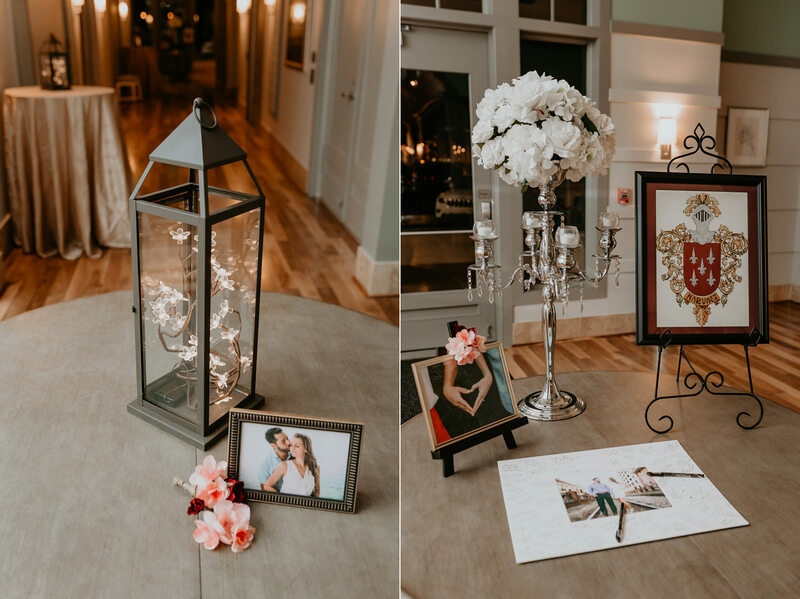 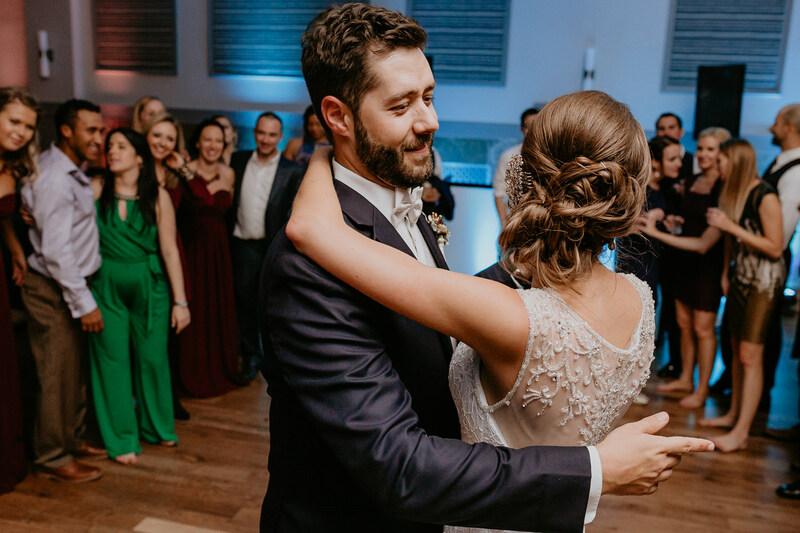 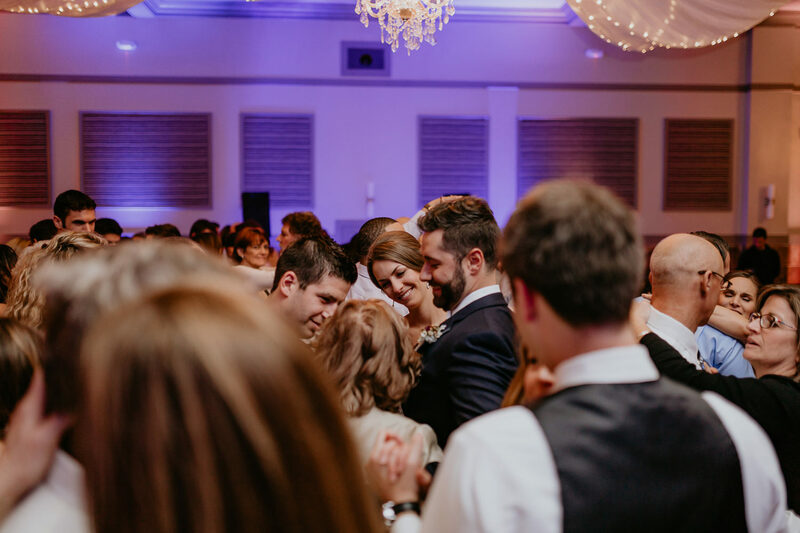 Tracey and Aitor’s wedding day was about as perfect as a wedding day can be. 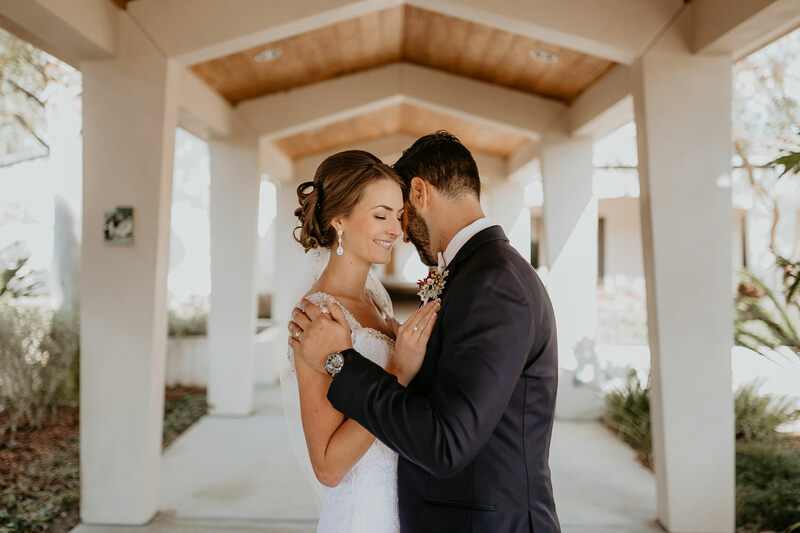 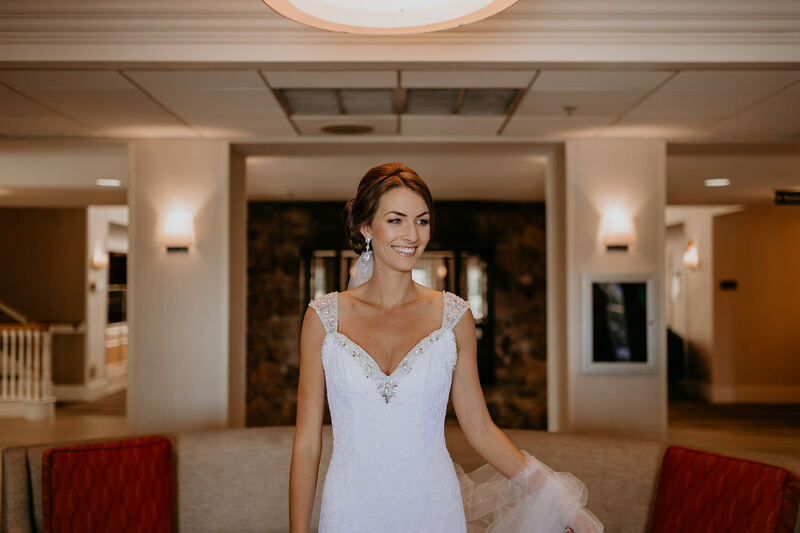 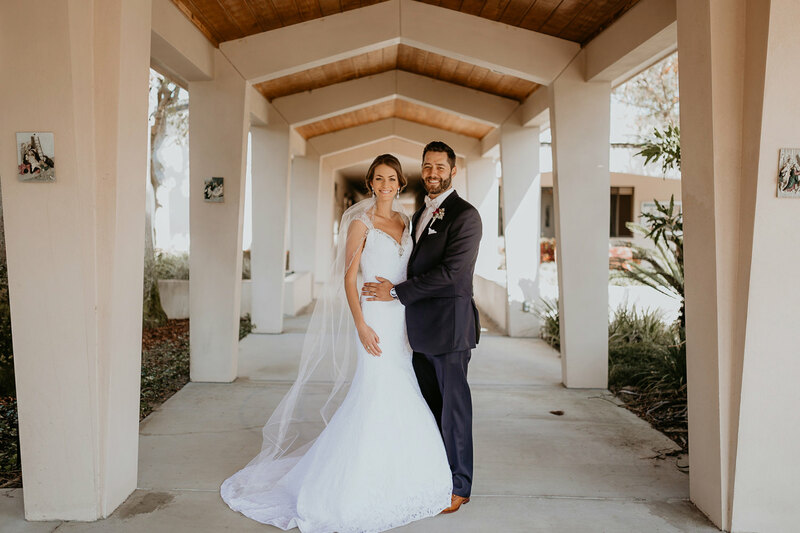 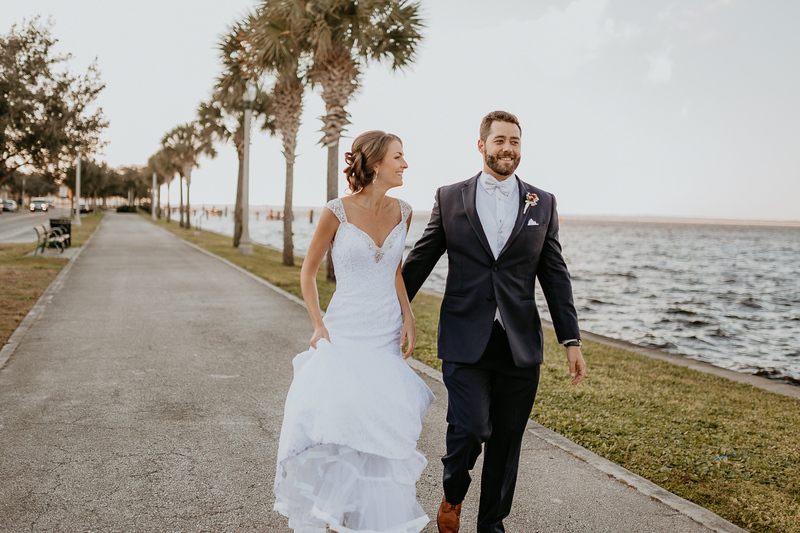 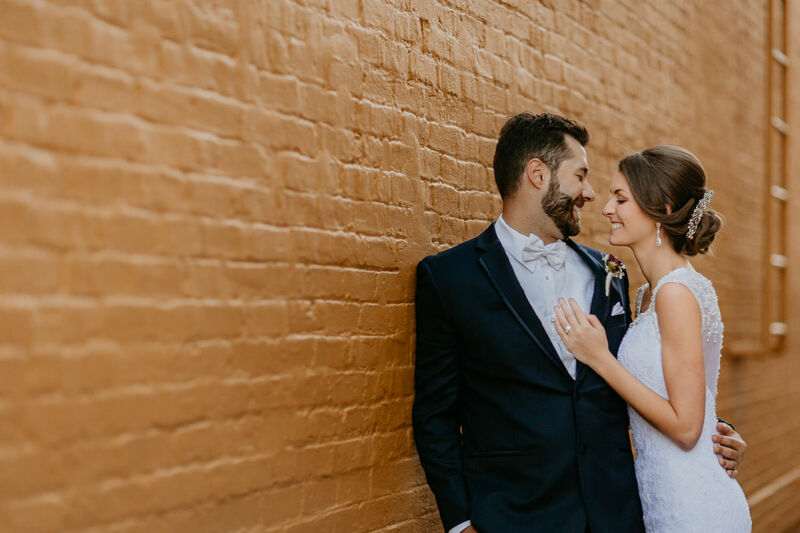 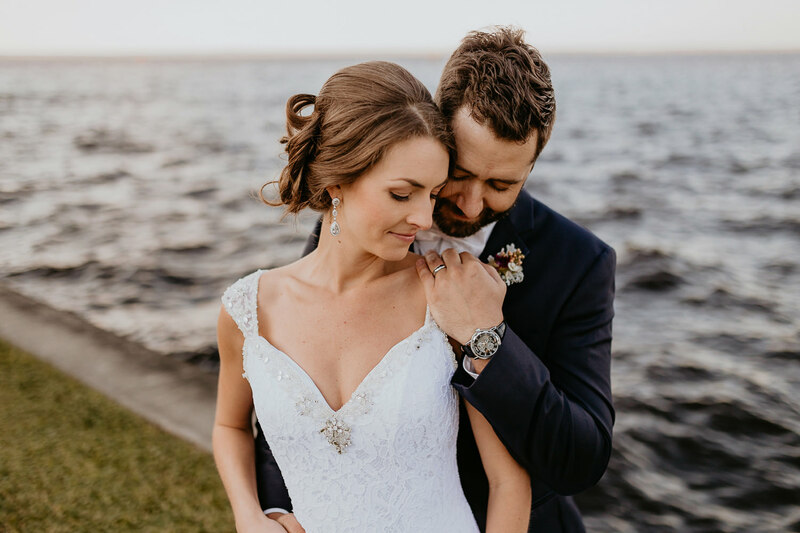 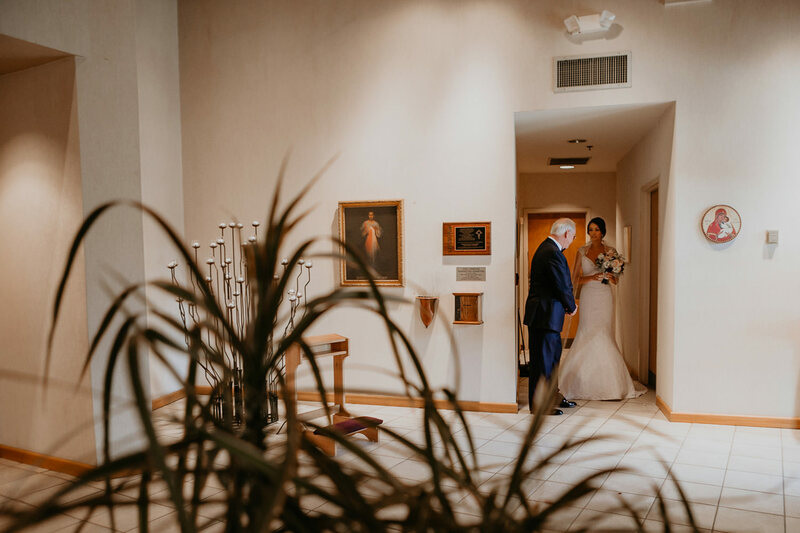 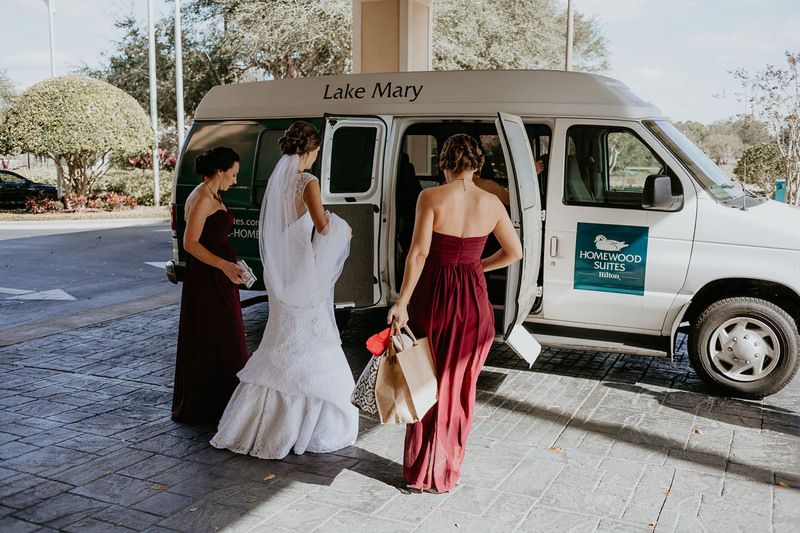 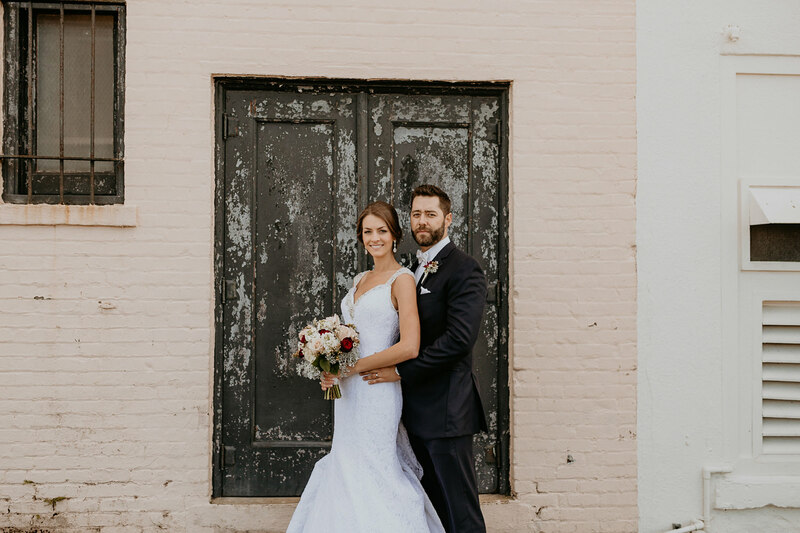 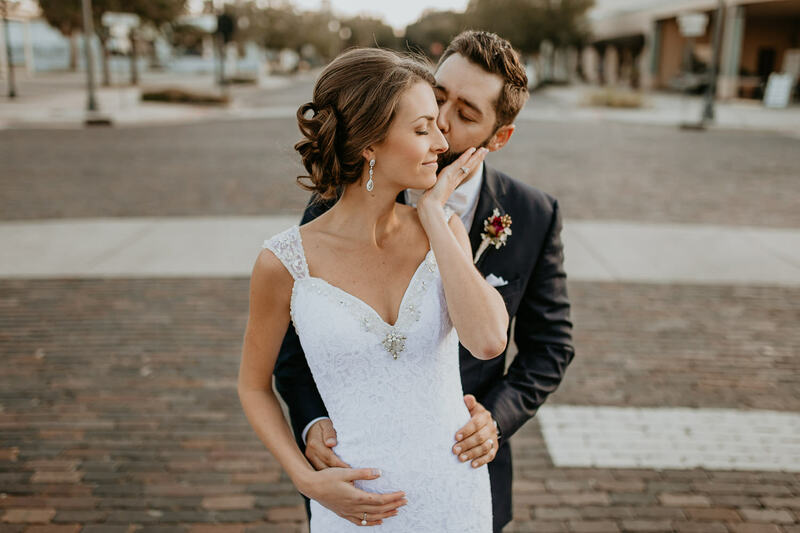 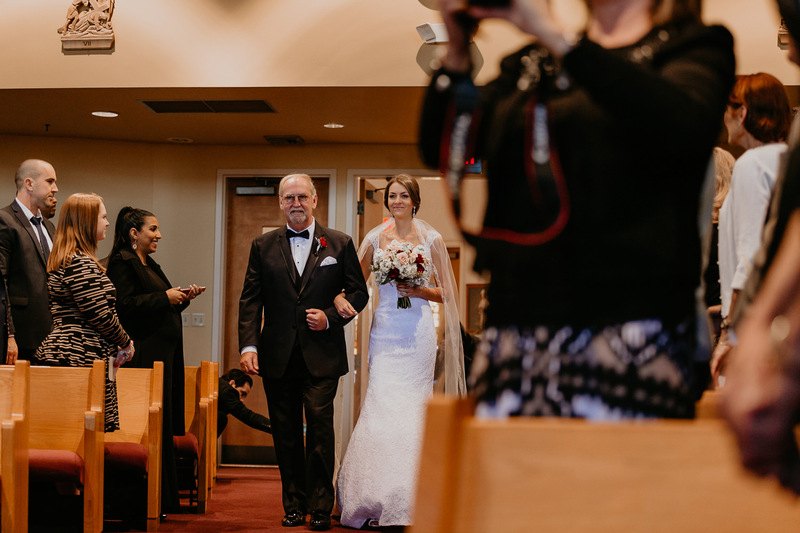 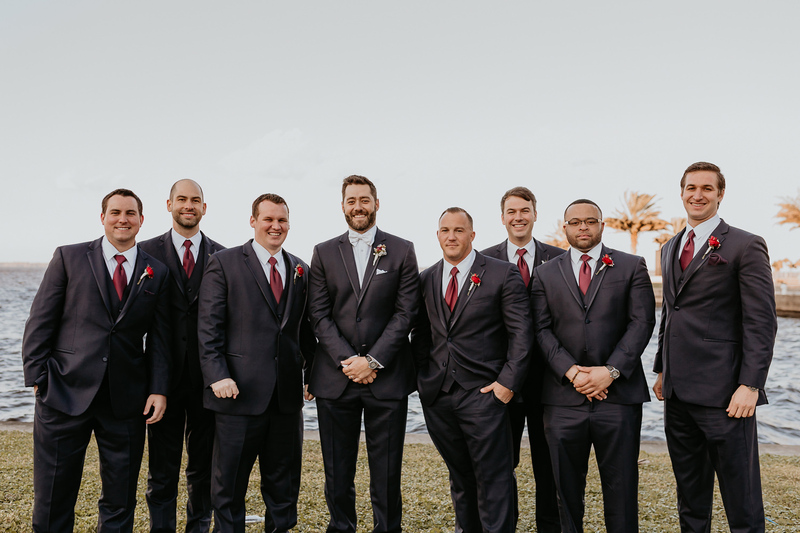 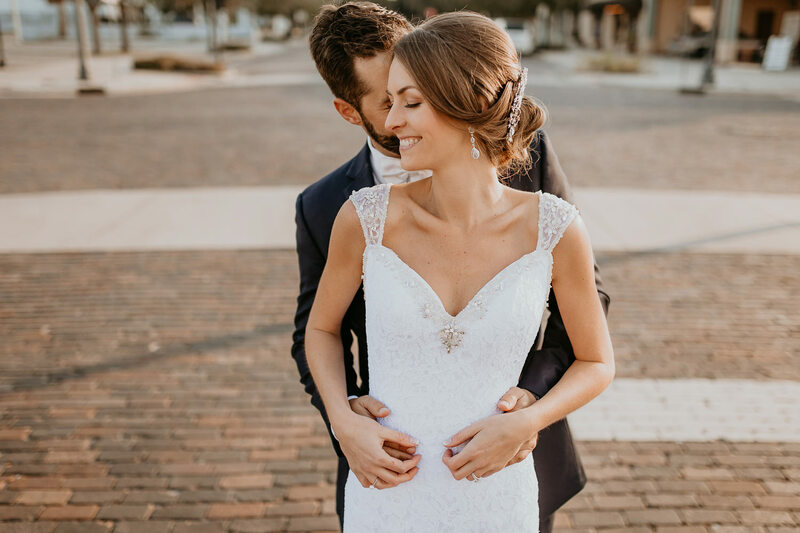 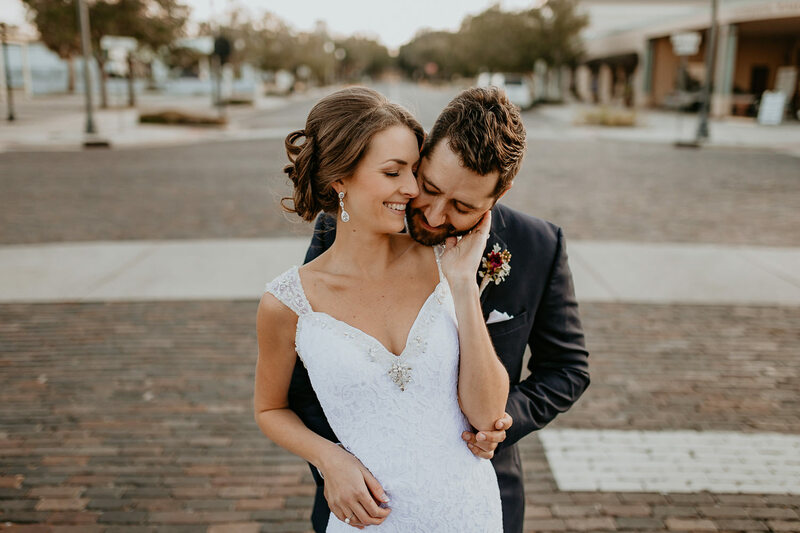 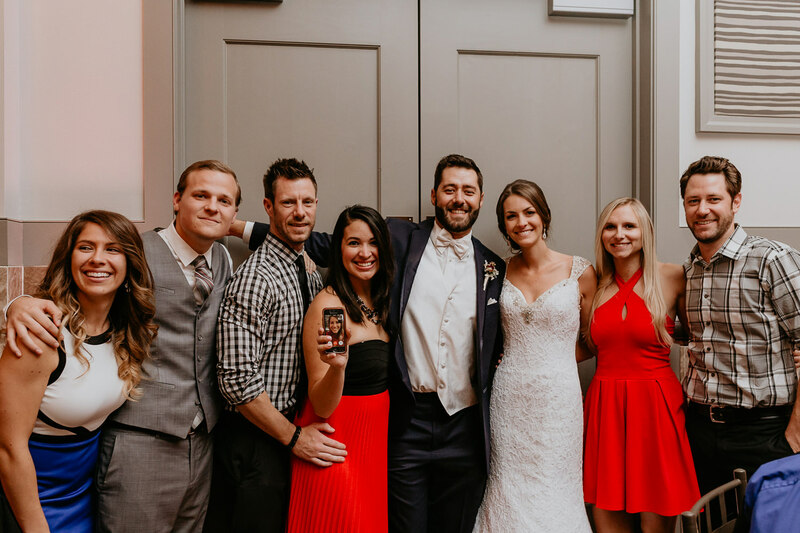 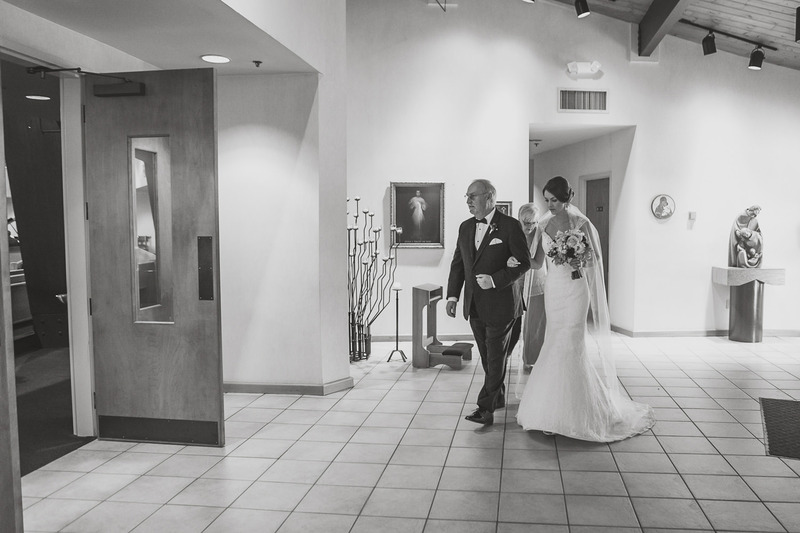 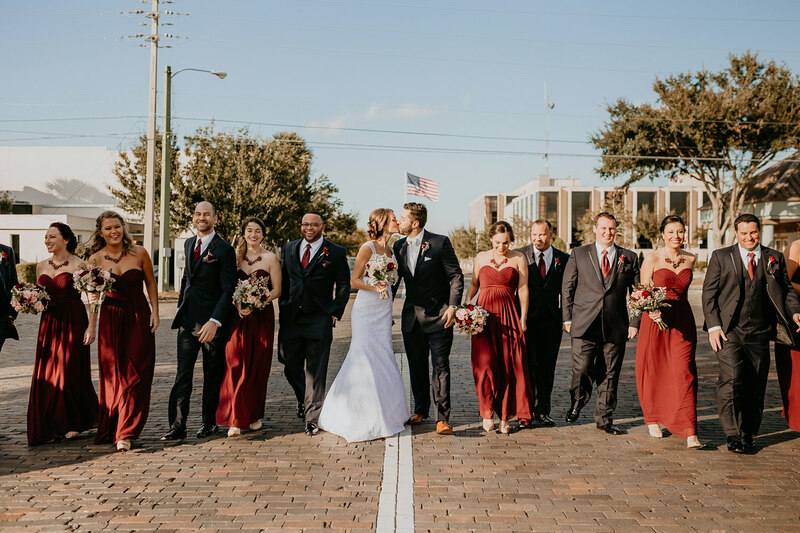 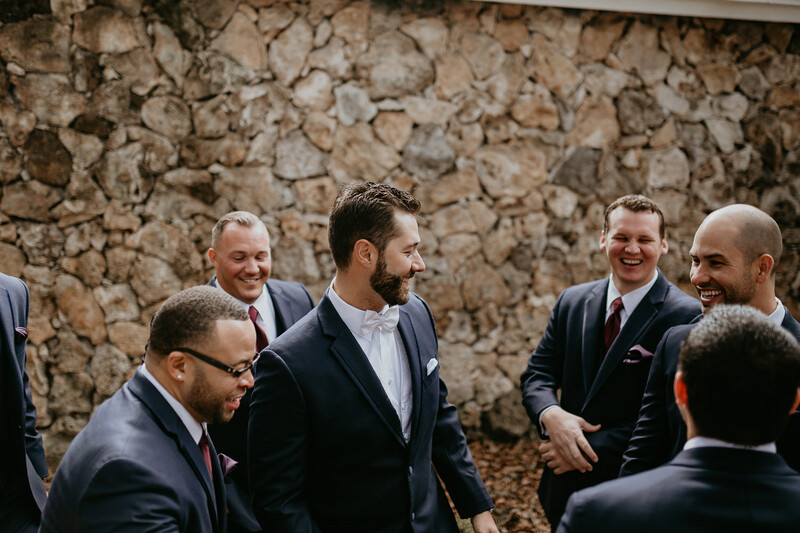 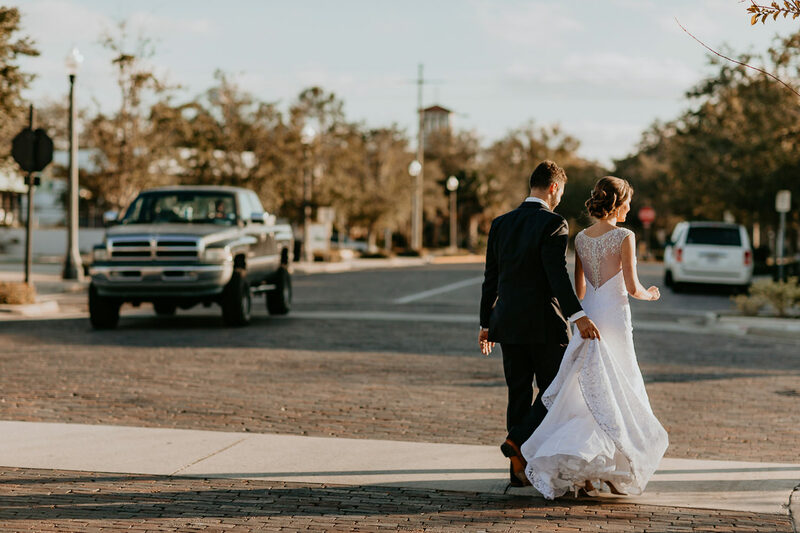 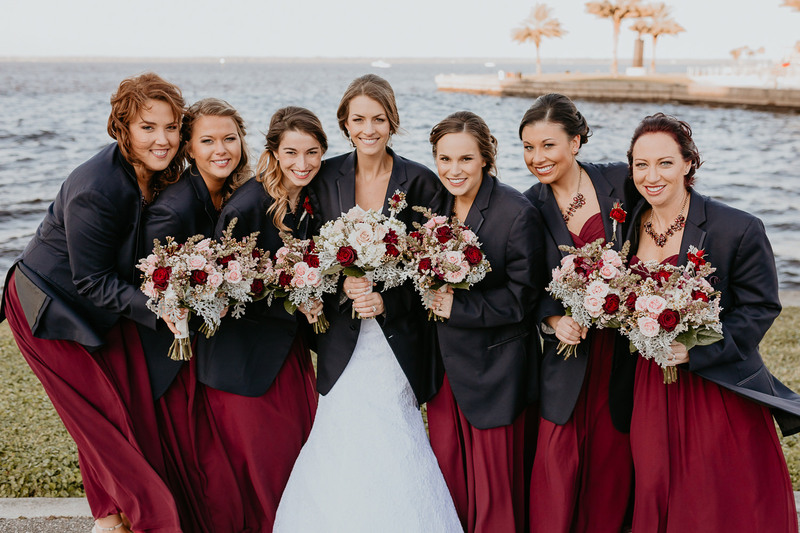 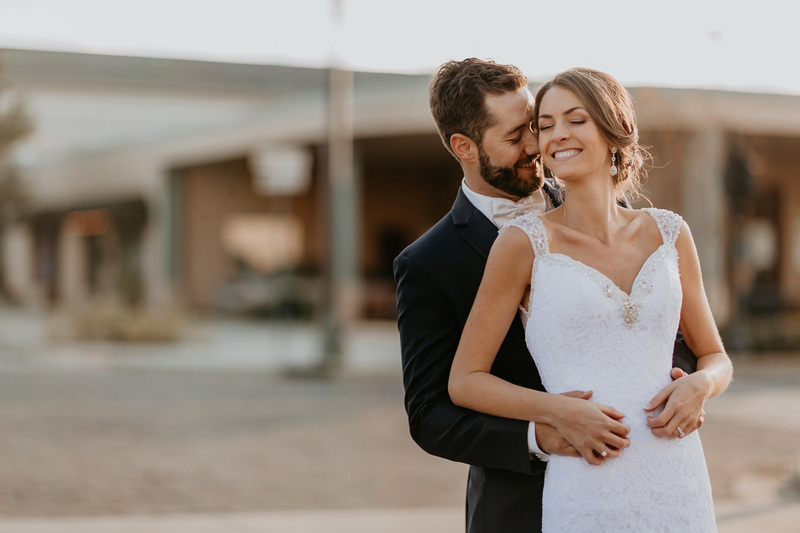 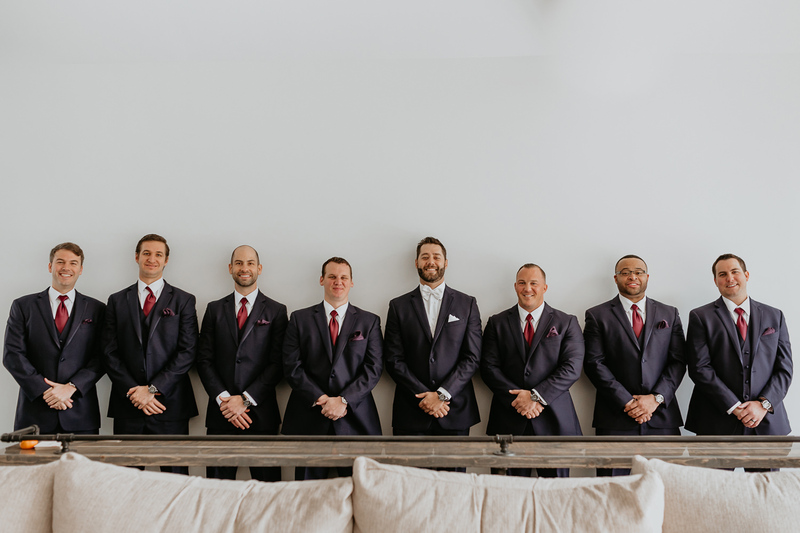 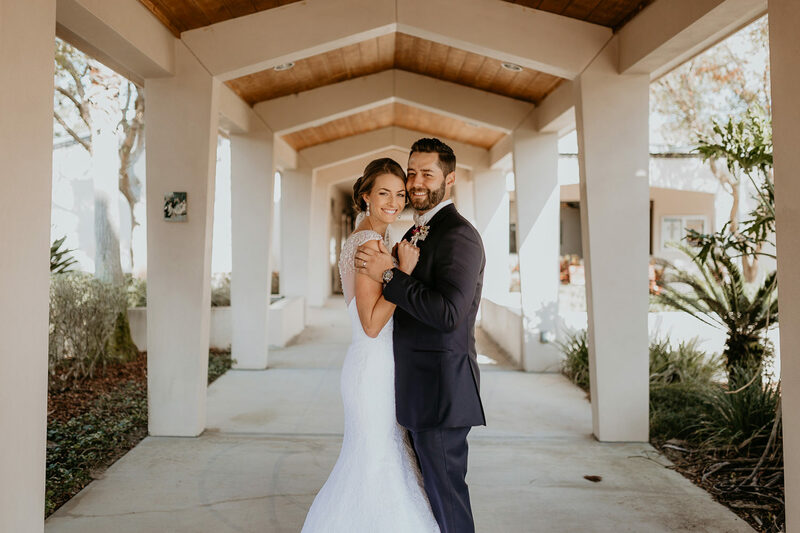 No delays, a sunny Florida day without the humidity, fun positive energy from the entire wedding party, and plenty of time between the ceremony and reception for portraits. 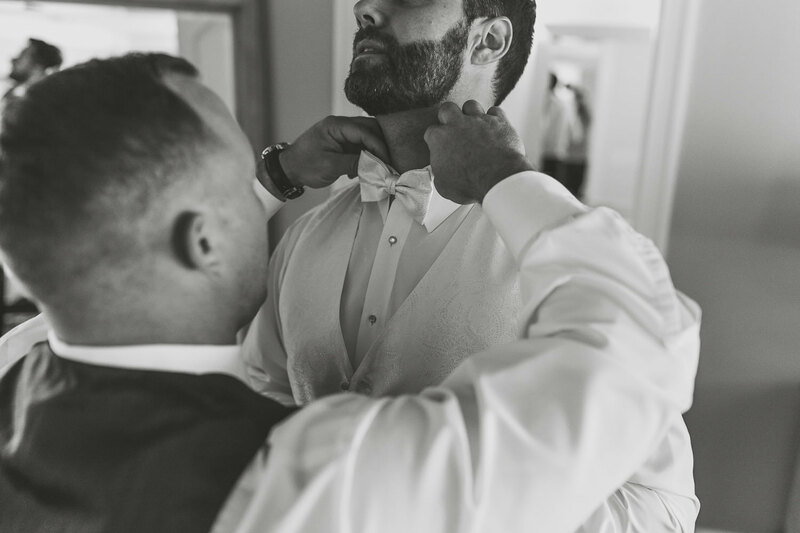 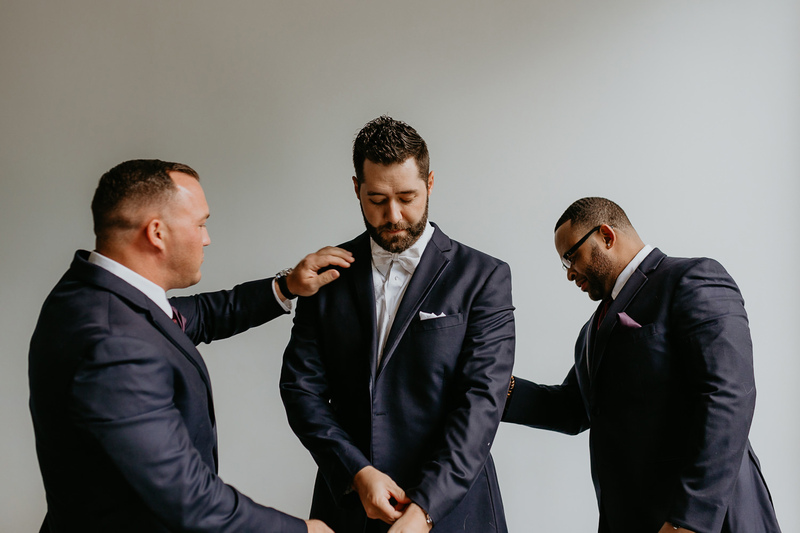 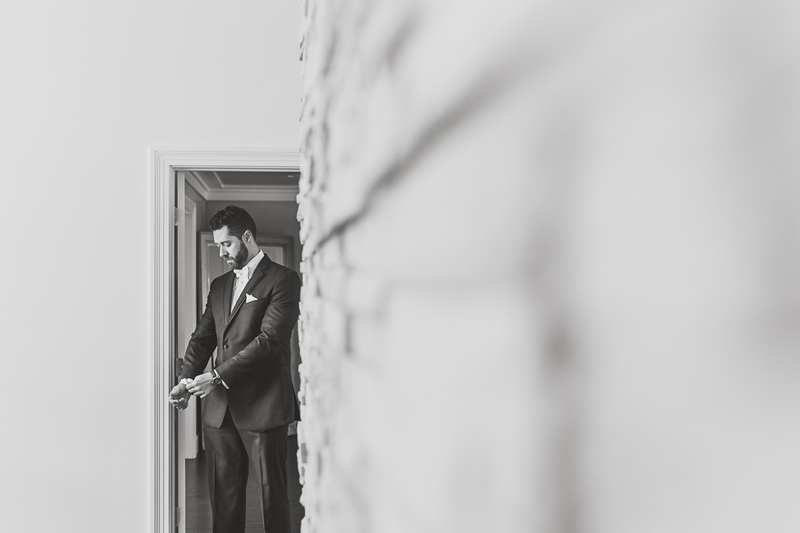 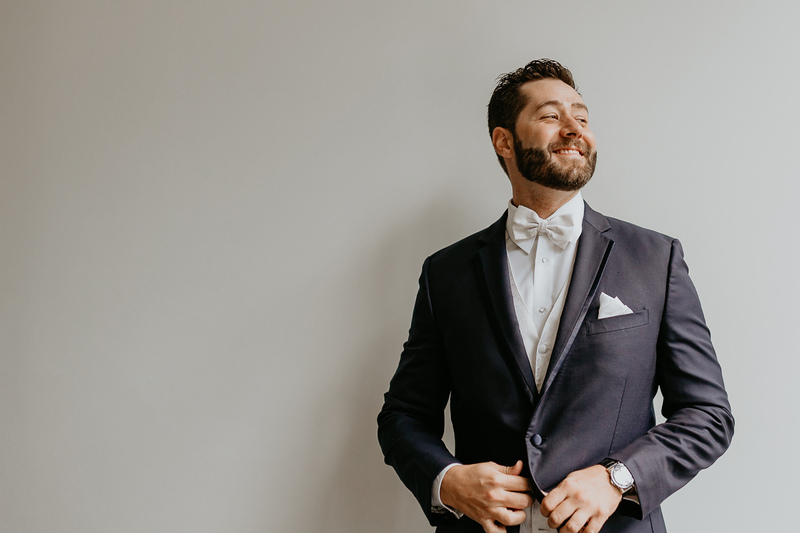 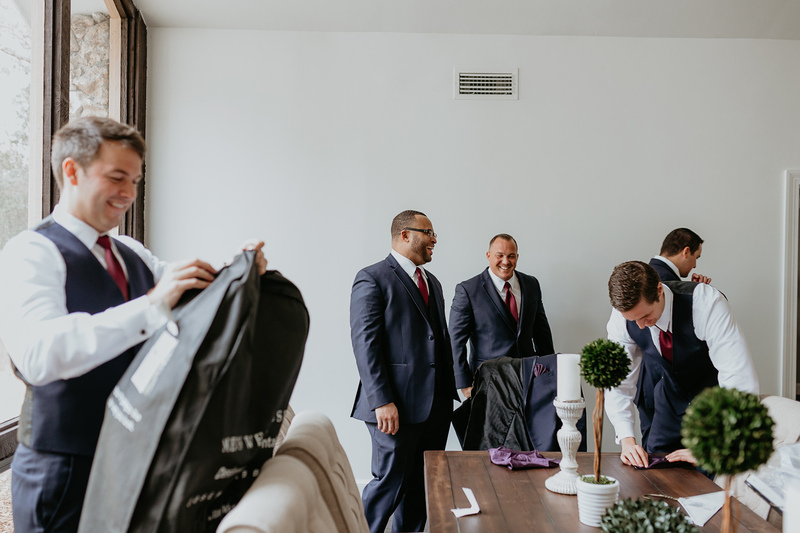 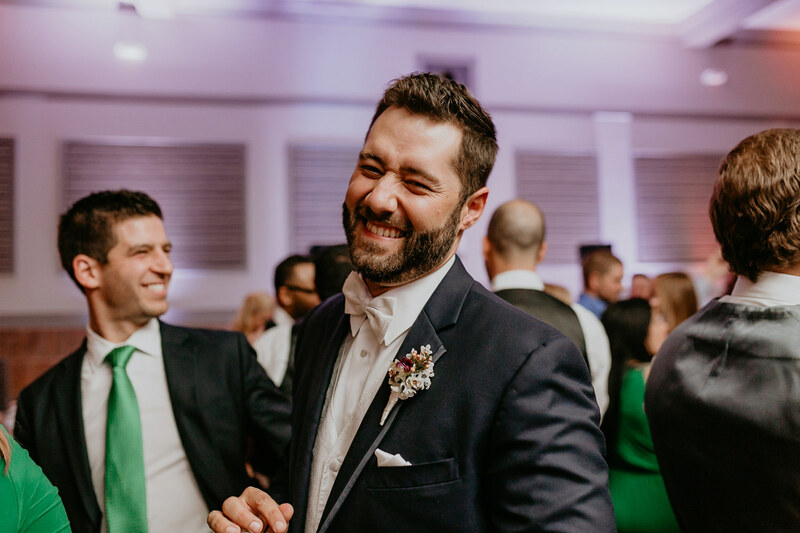 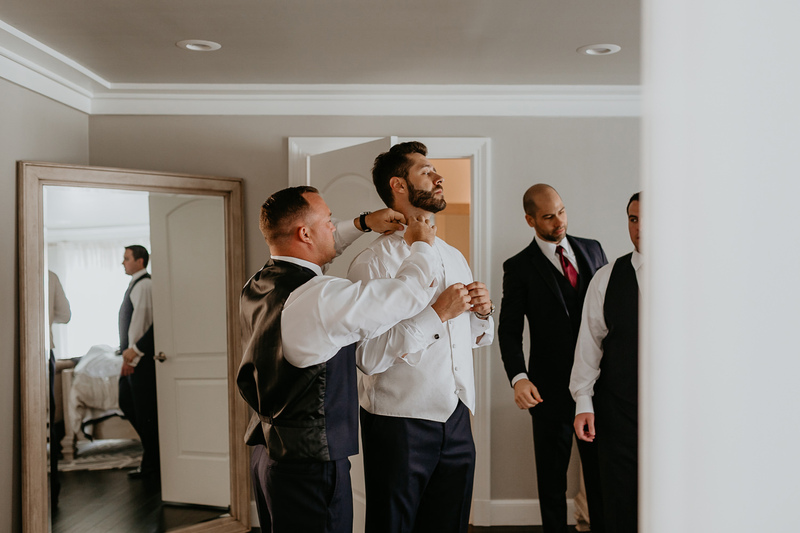 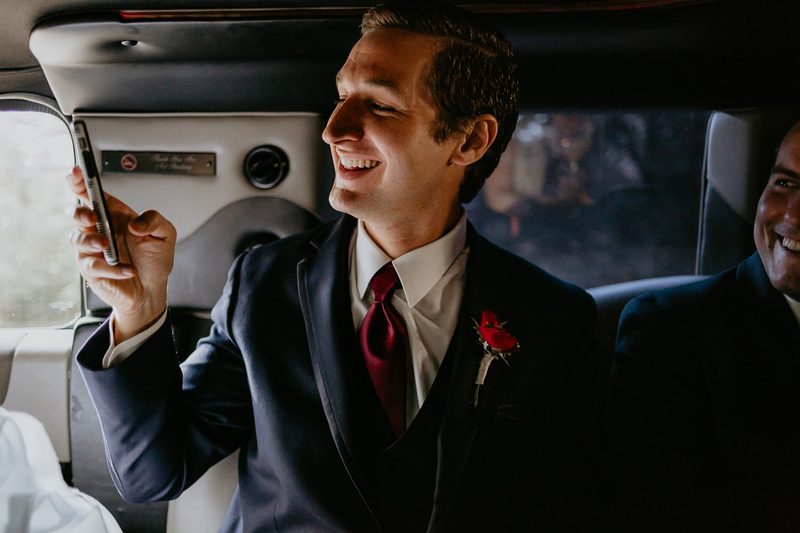 Aitor got ready at one of the groomsmen’s house while Tracy got ready at the Hilton Garden Inn in North Orlando/Lake Mary. 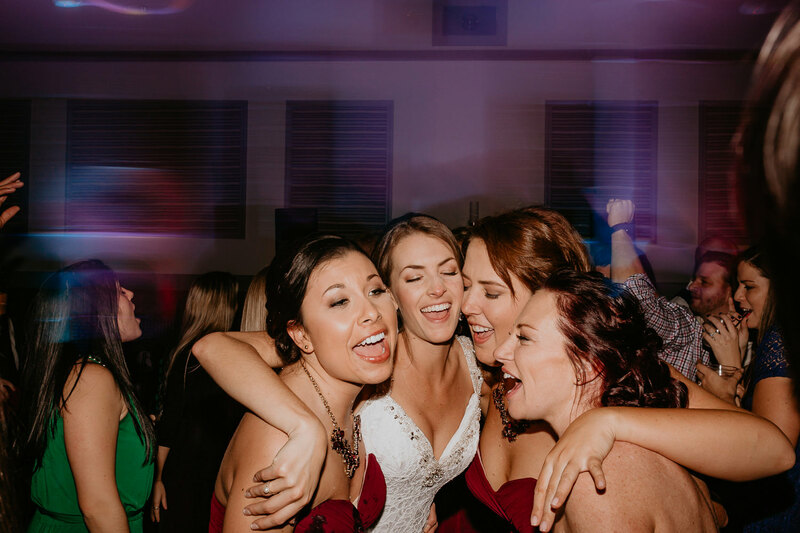 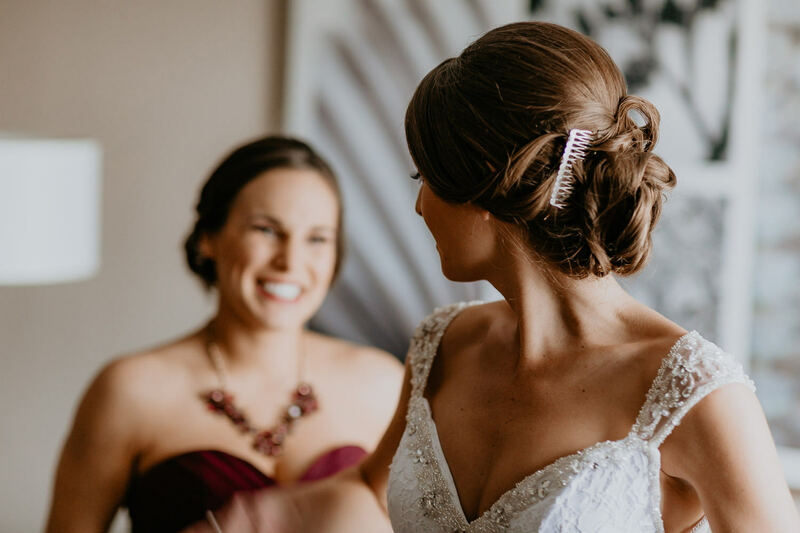 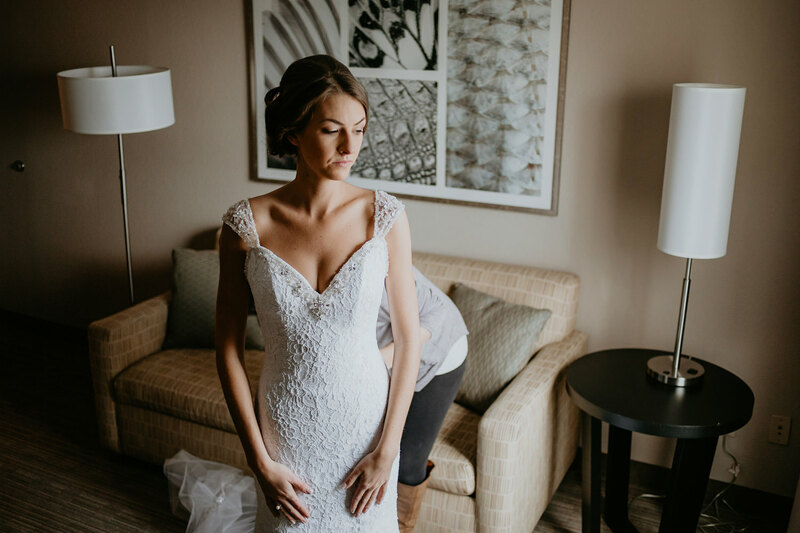 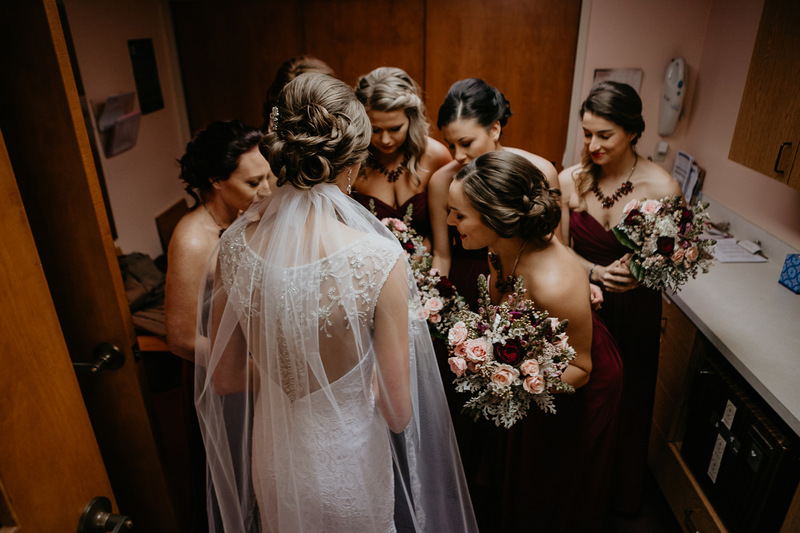 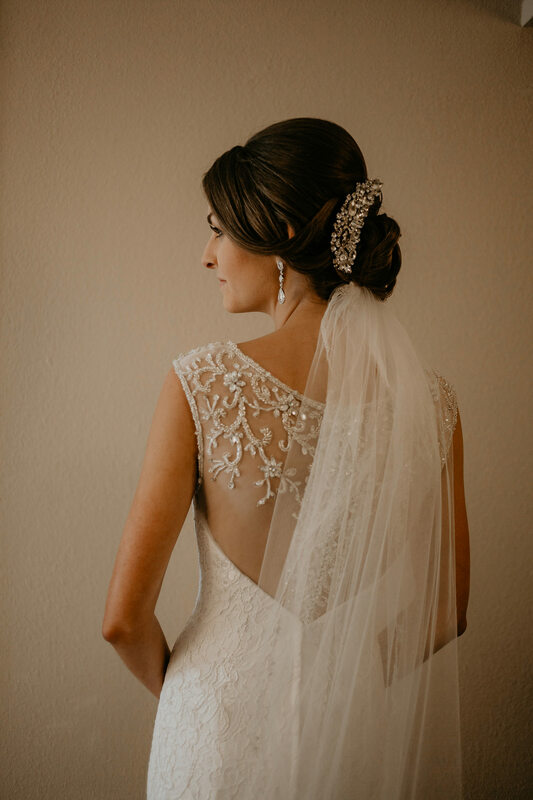 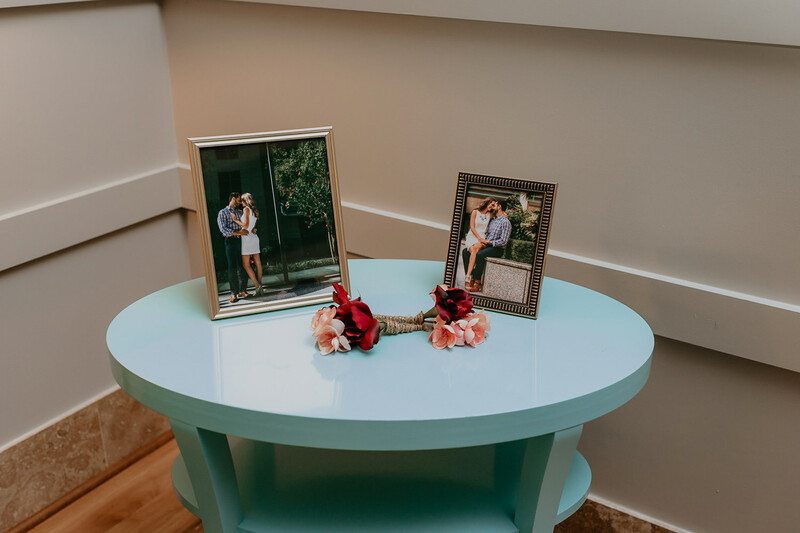 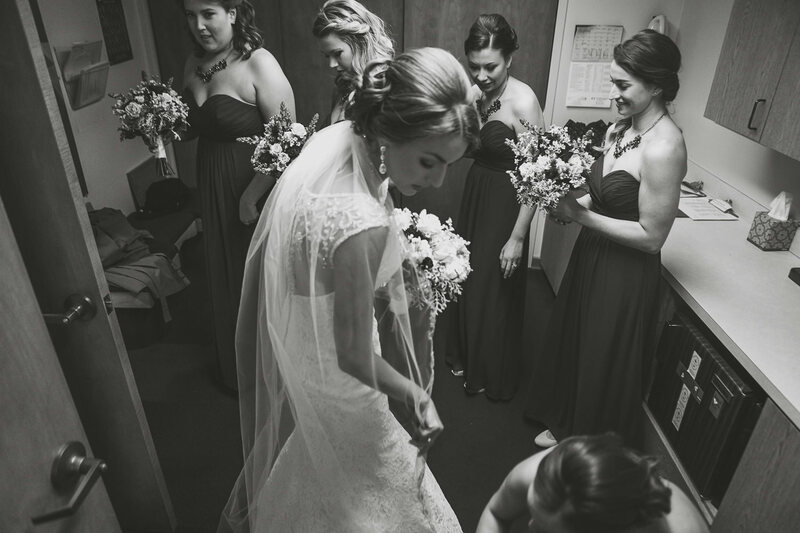 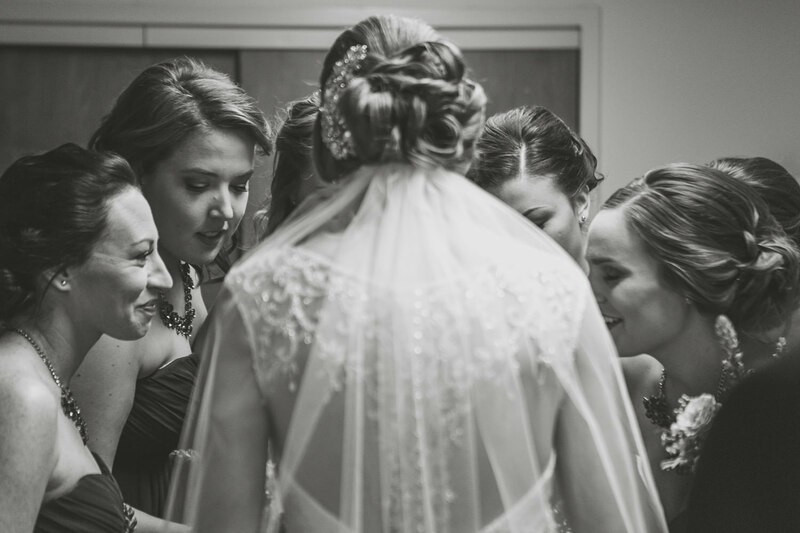 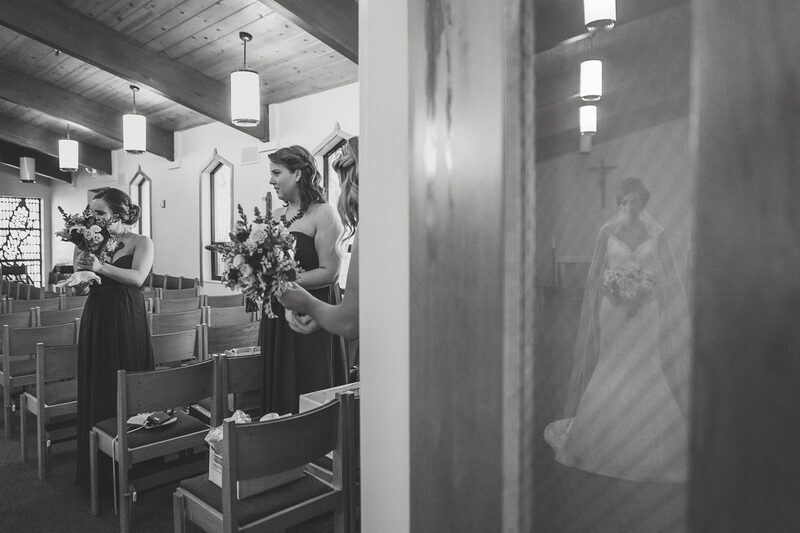 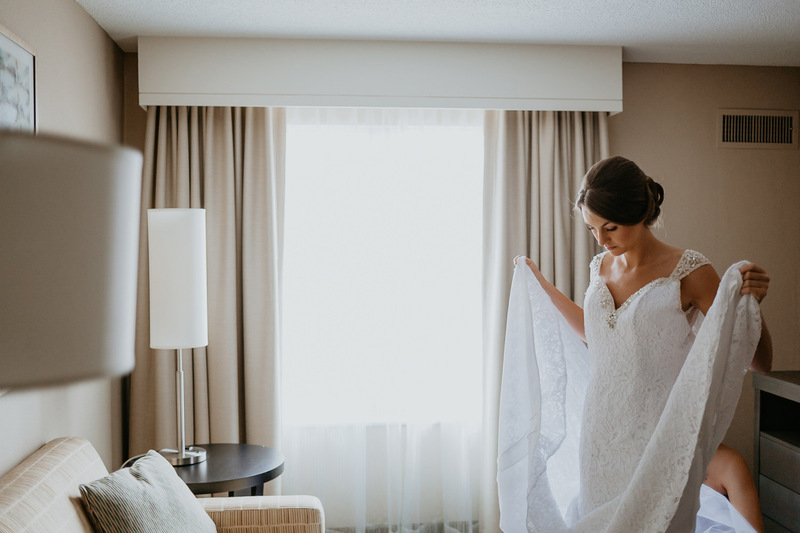 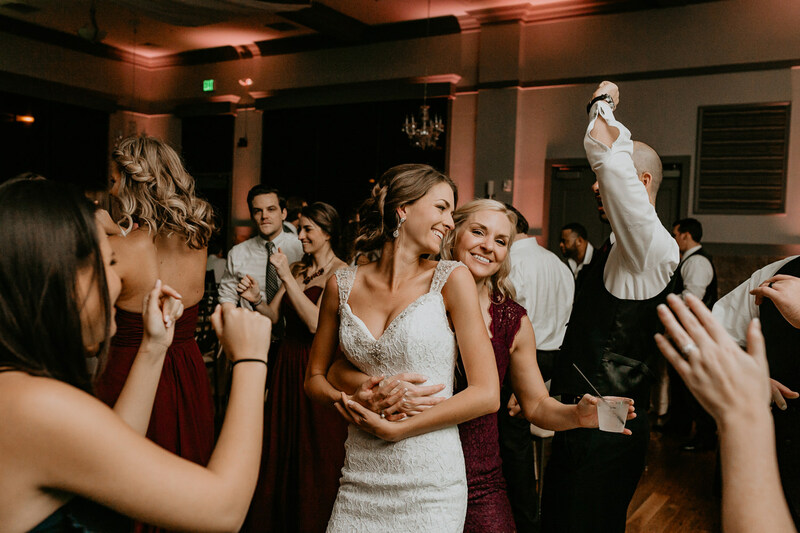 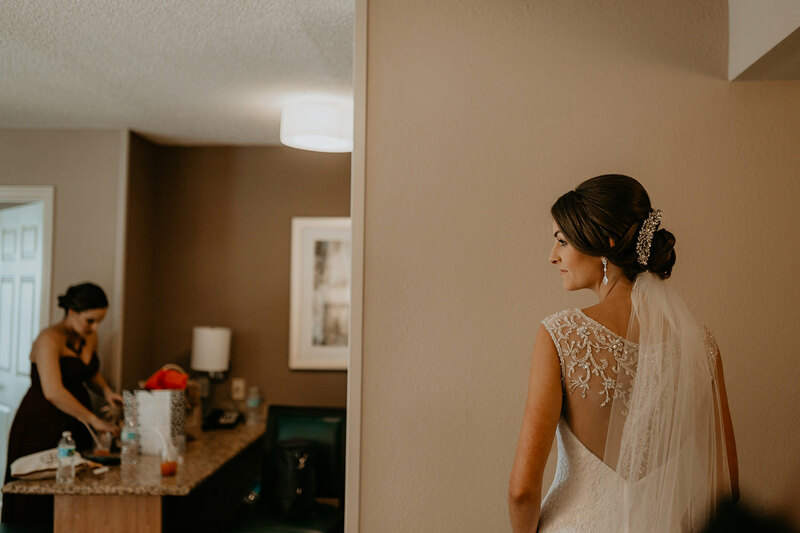 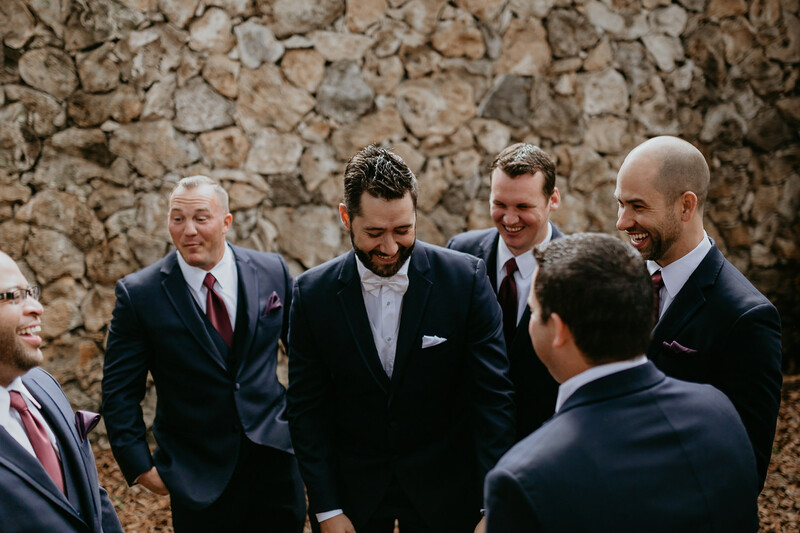 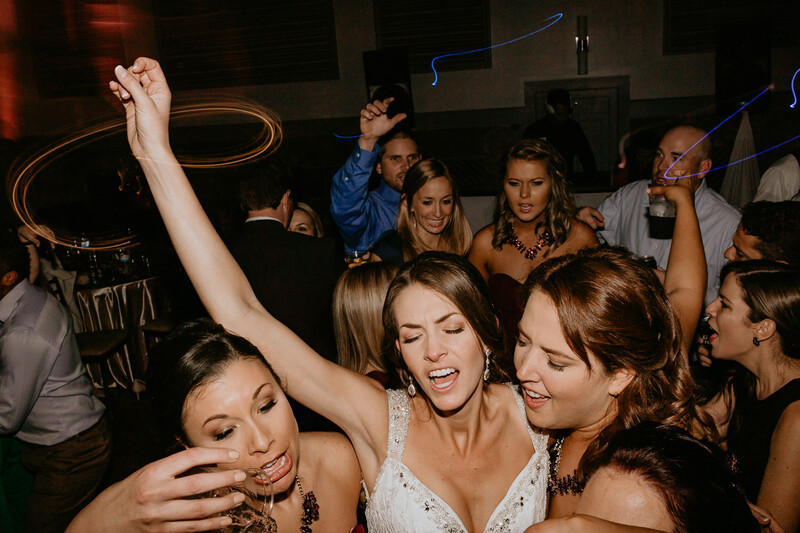 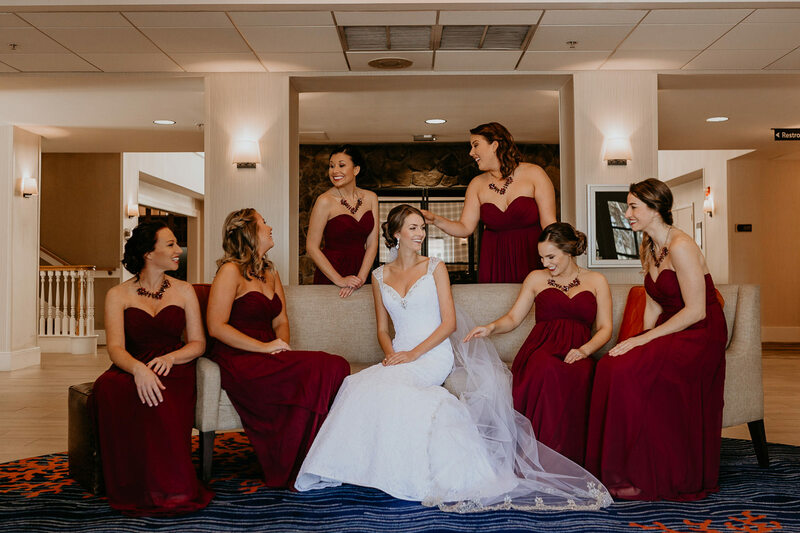 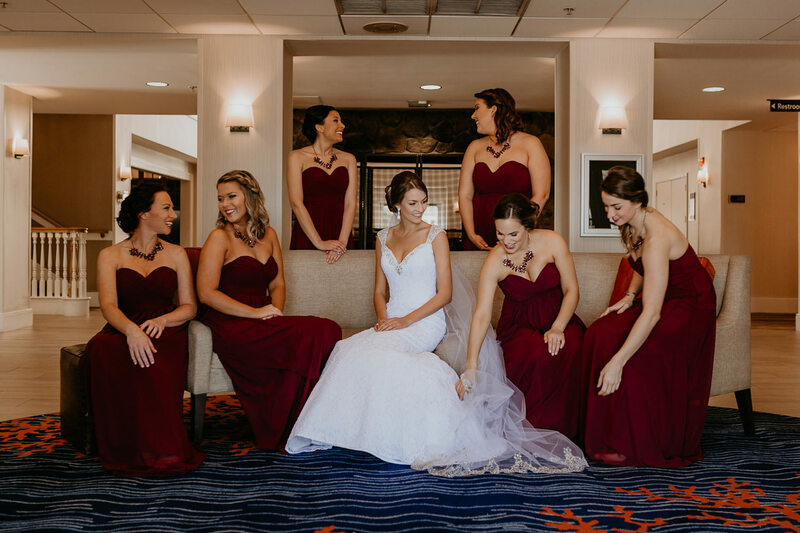 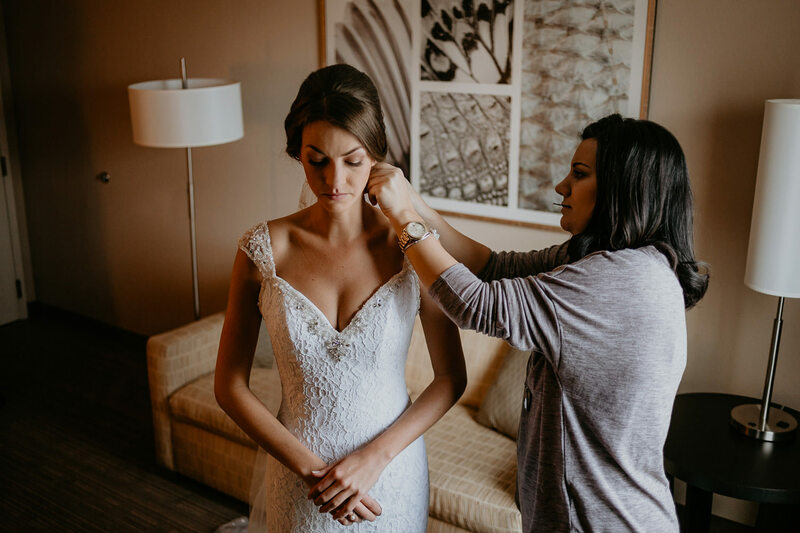 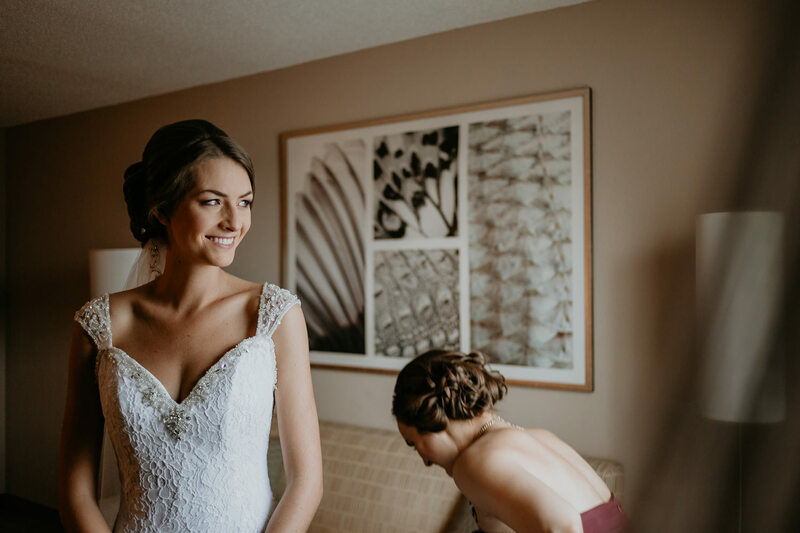 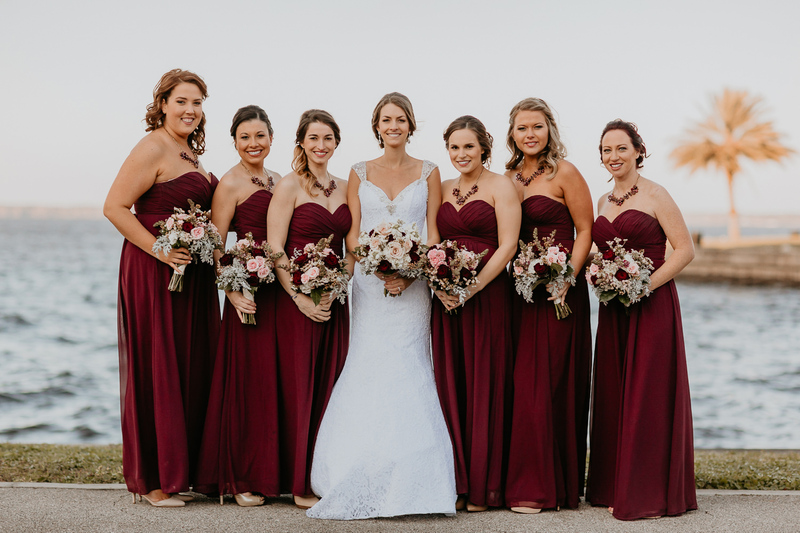 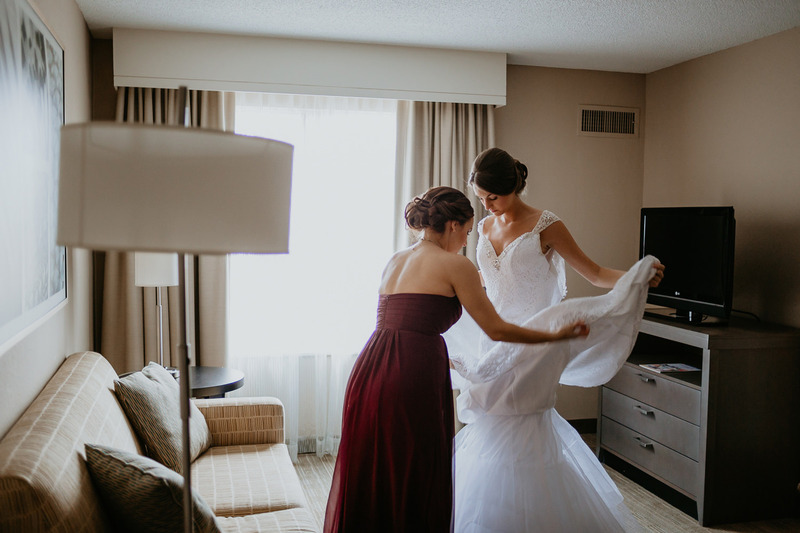 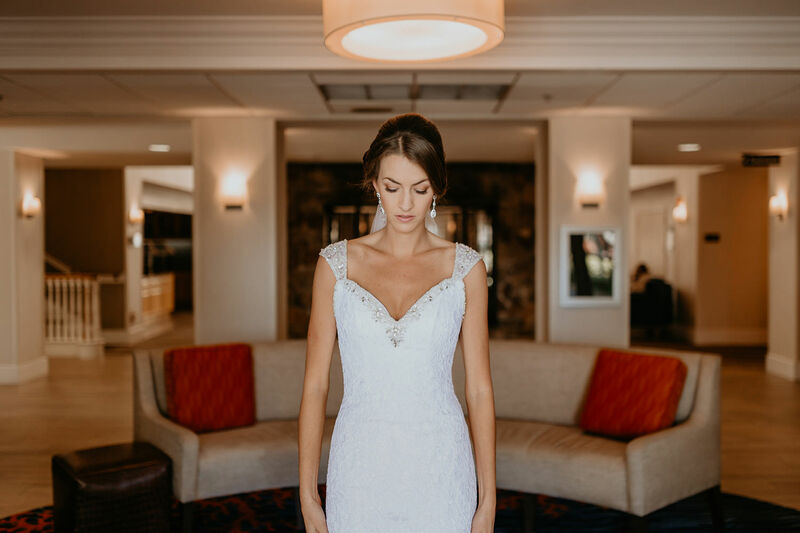 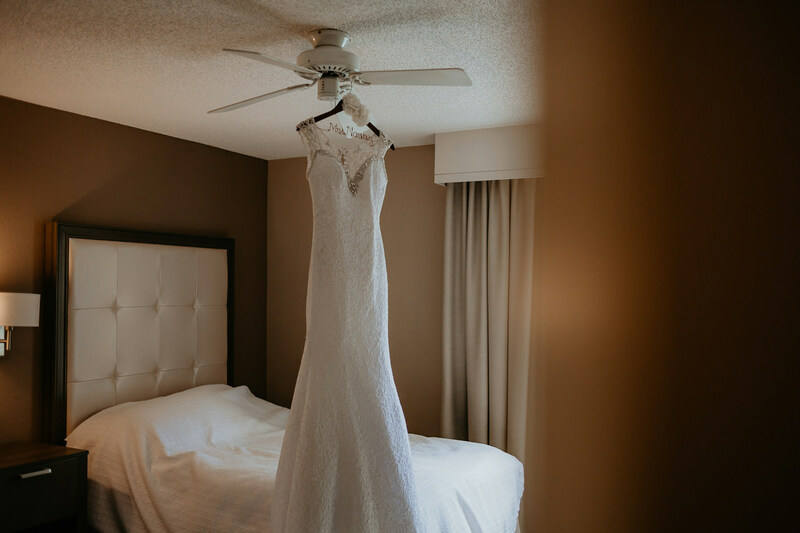 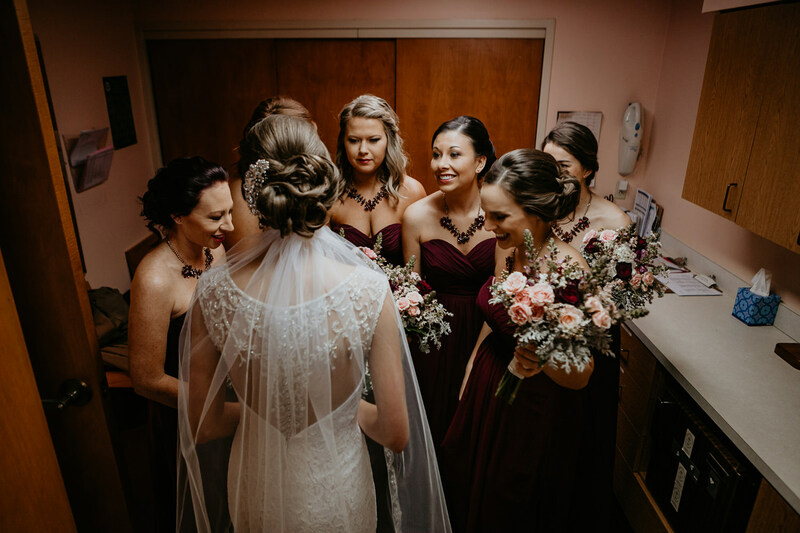 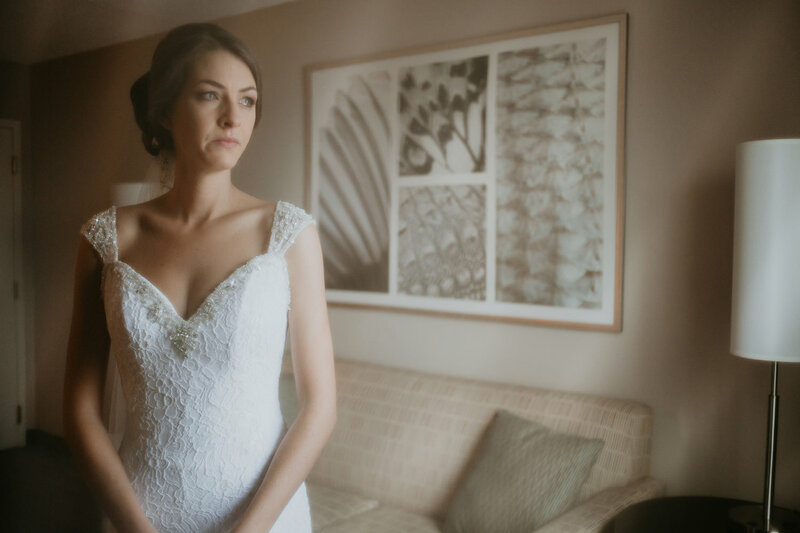 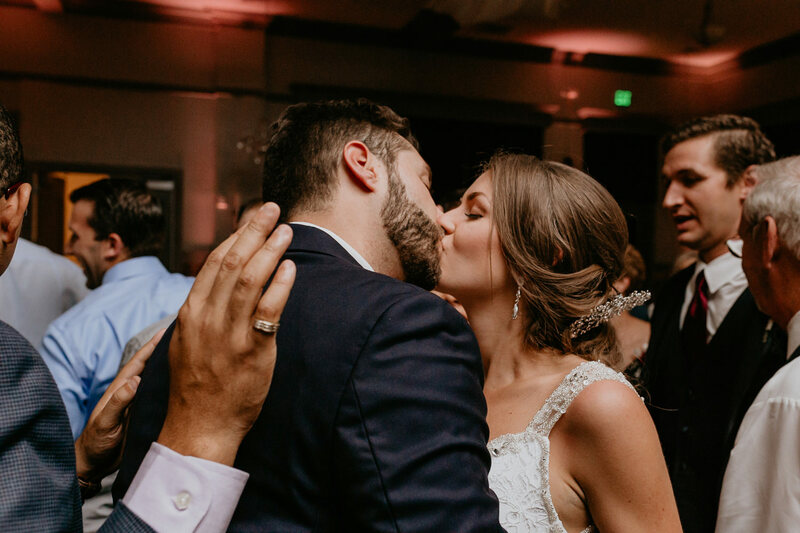 While Aitor had his groomsmen to keep him distracted and having fun, Tracy got dressed pretty privately, so she had more quiet time to reflect on that day as she tried hard to keep the tears to from messing up her makeup. 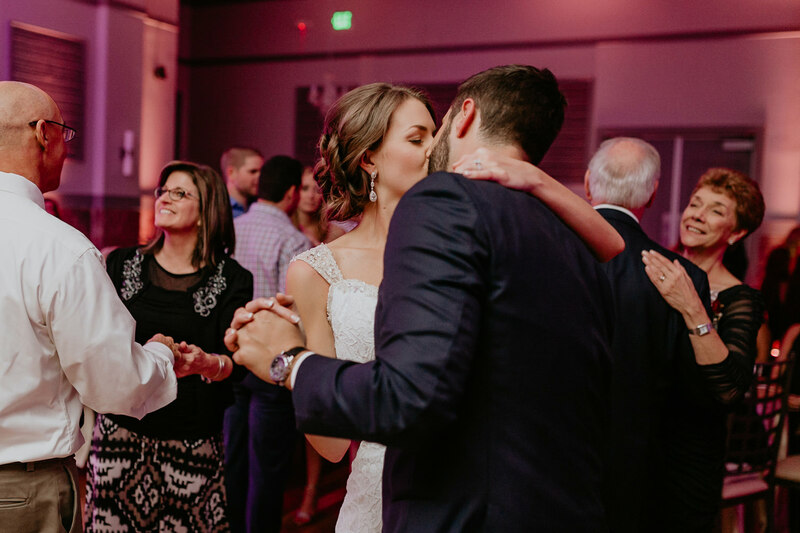 Both of them were so excited to see each other and get married. 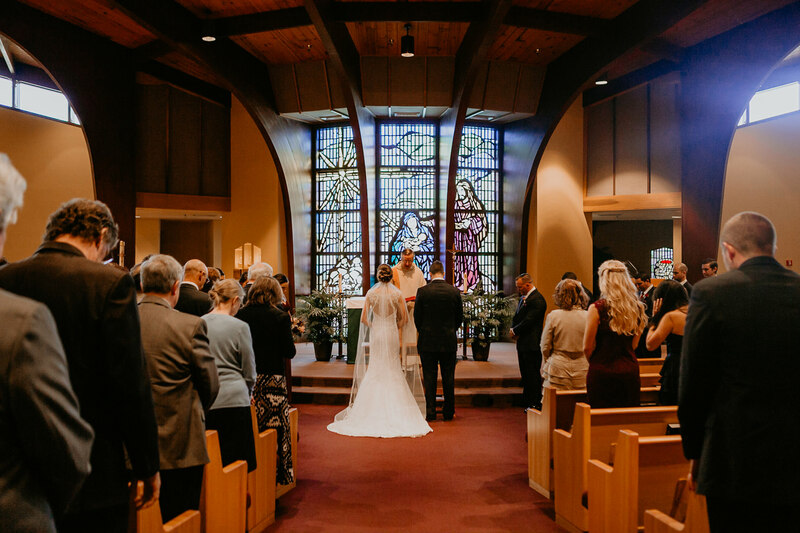 The ceremony took place at Nativity Catholic Church in Longwood. 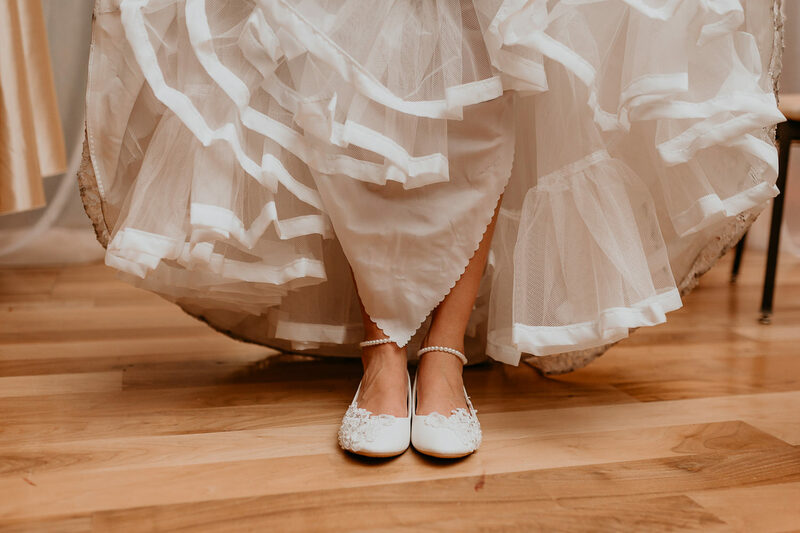 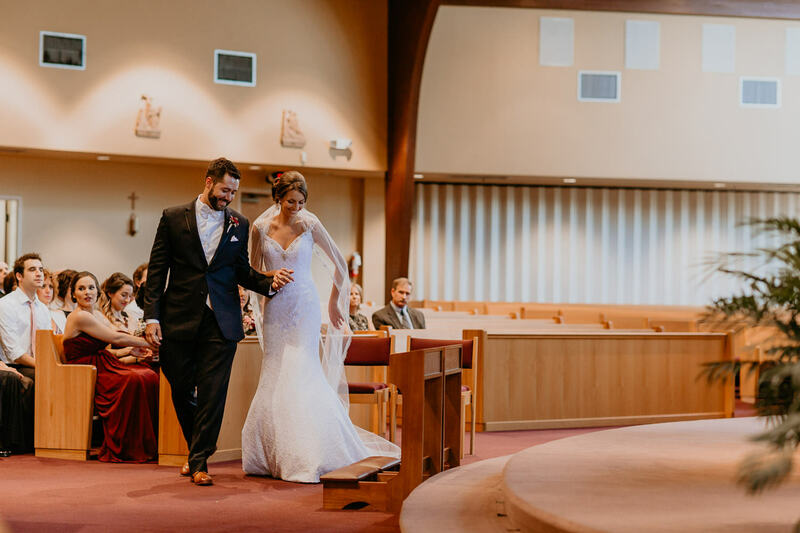 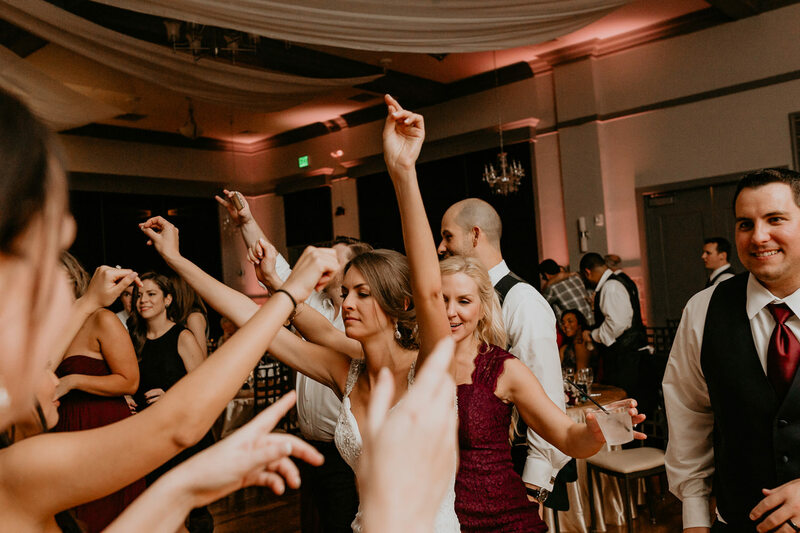 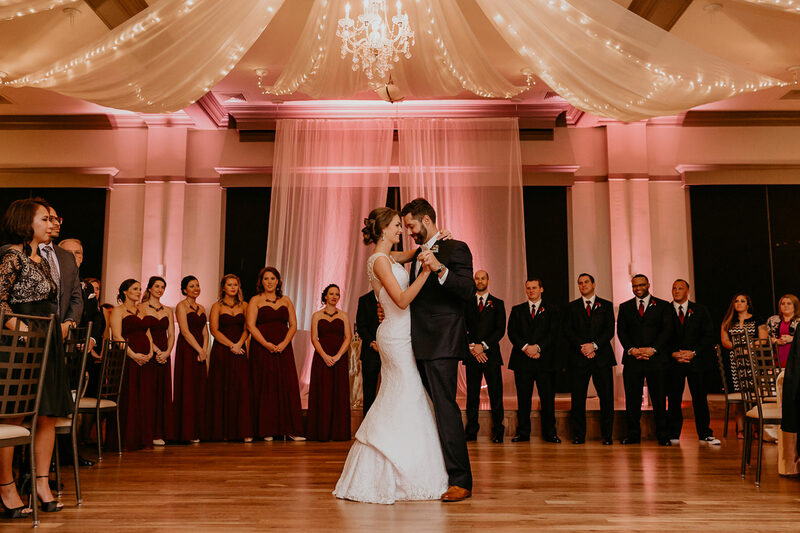 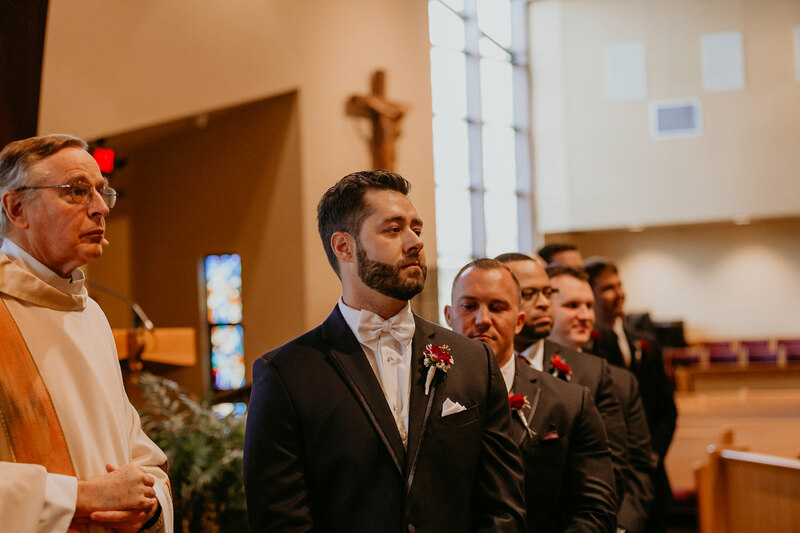 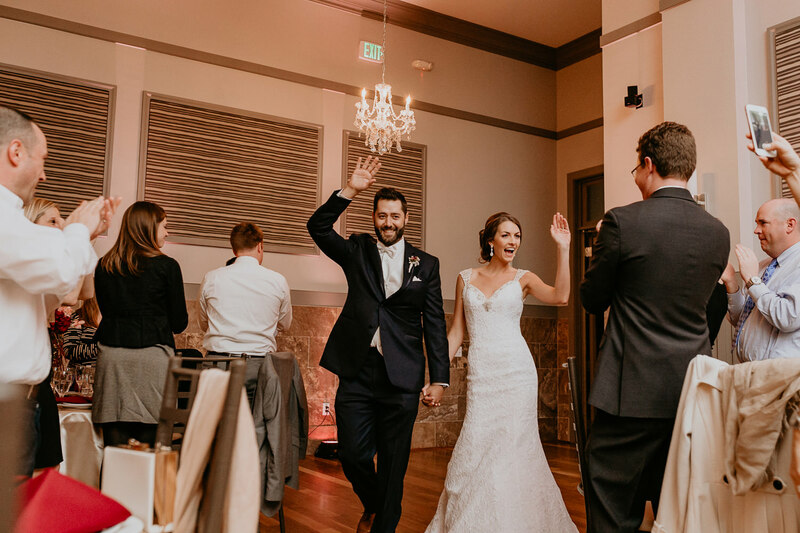 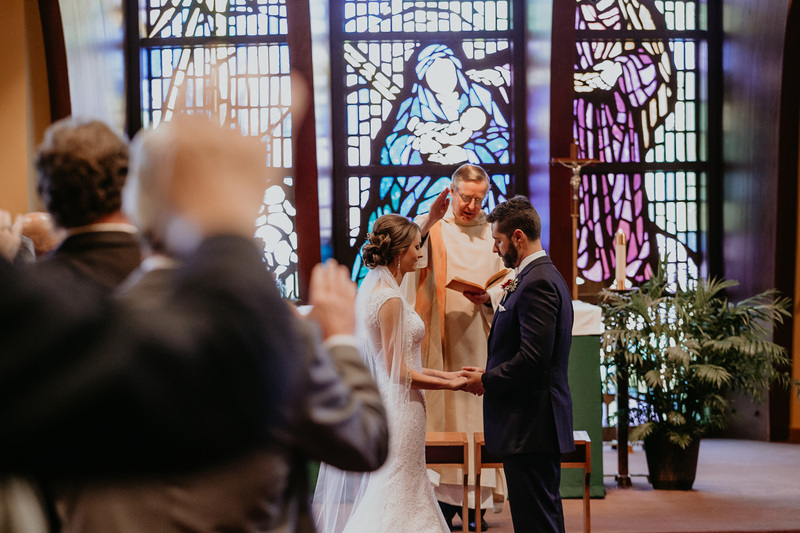 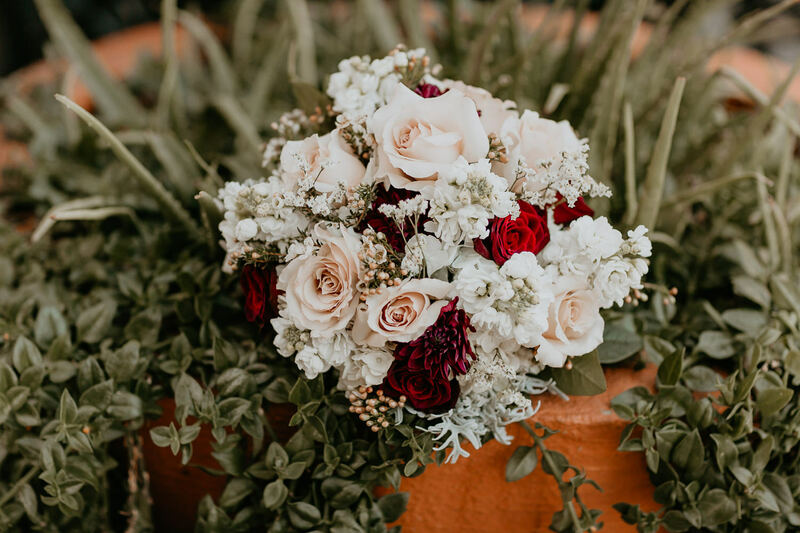 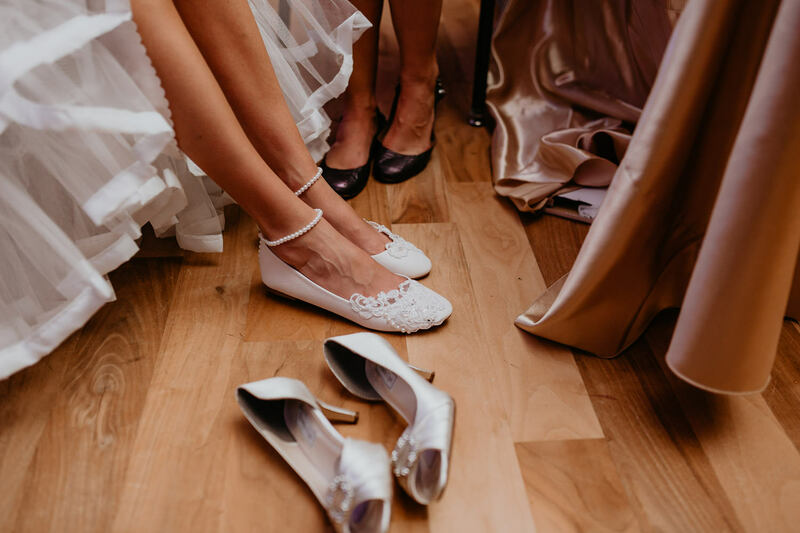 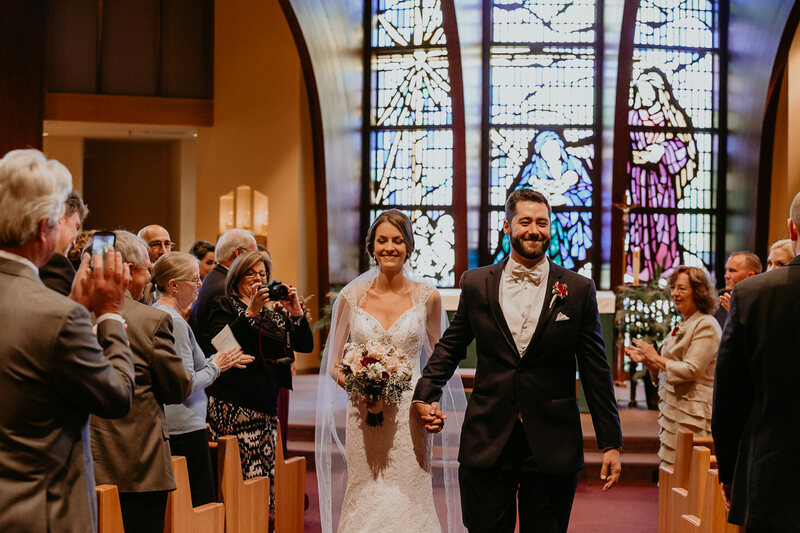 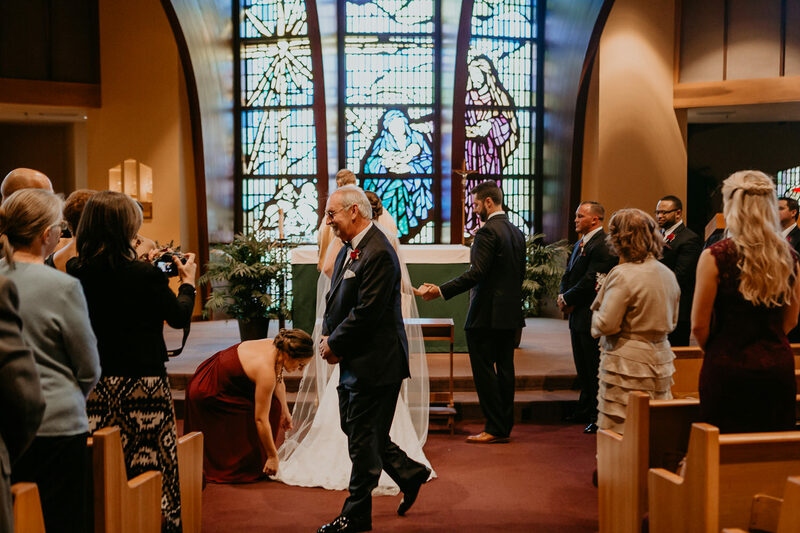 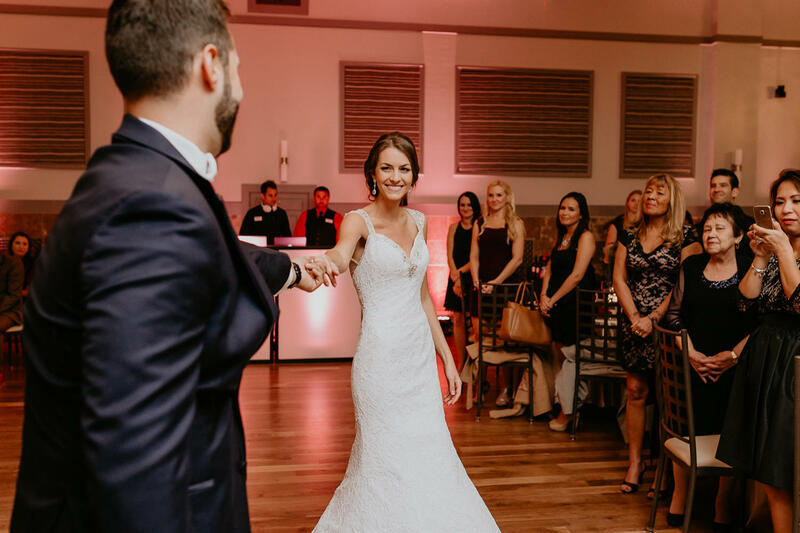 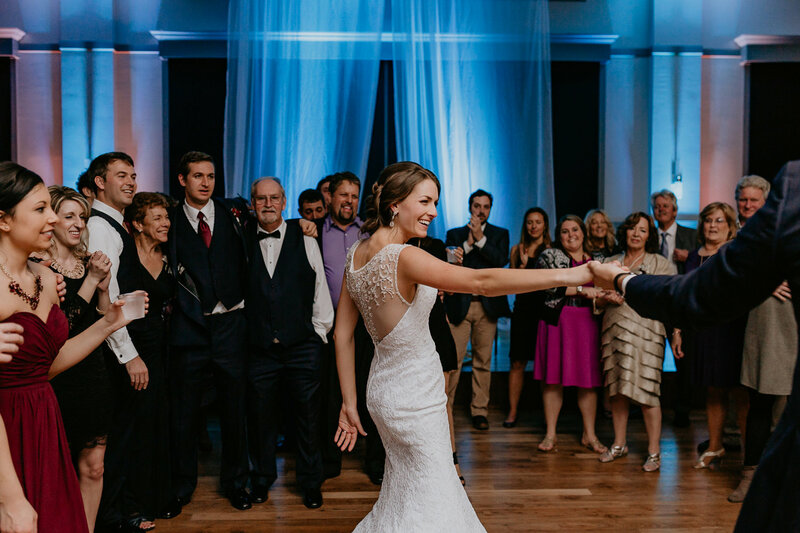 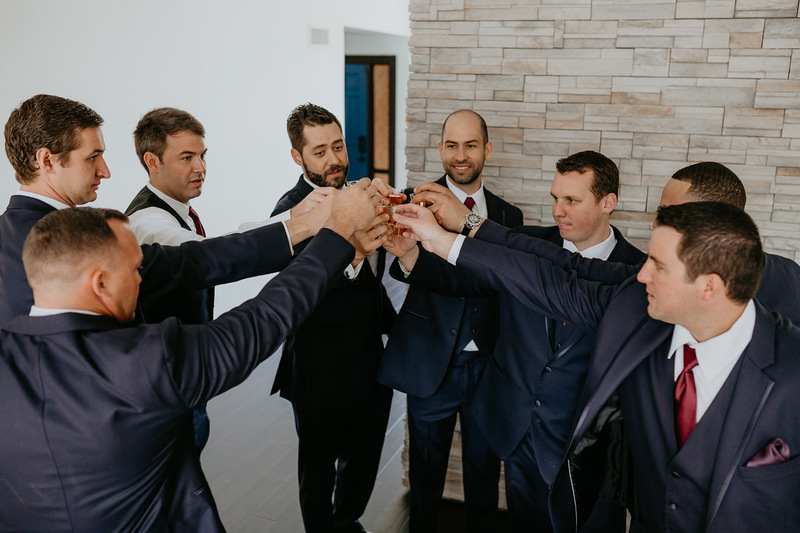 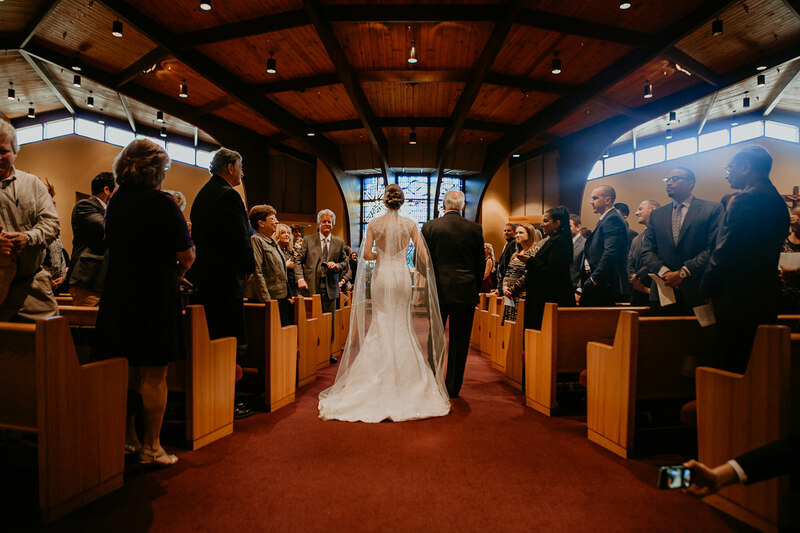 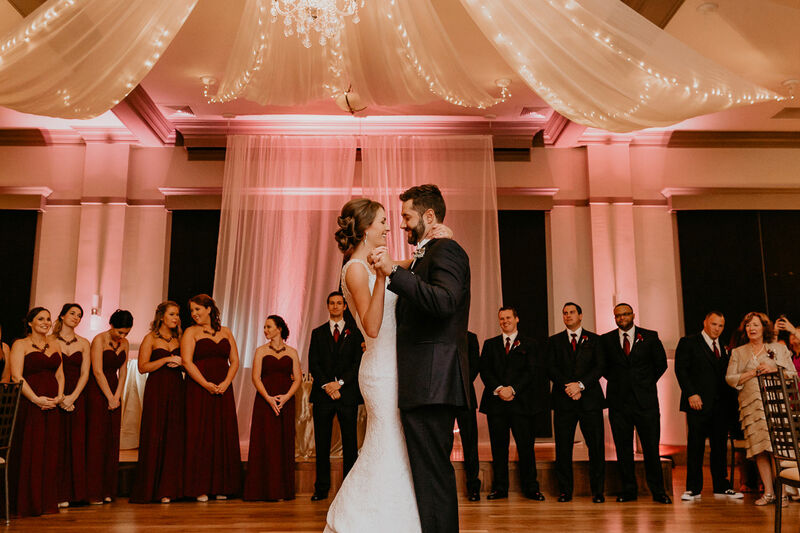 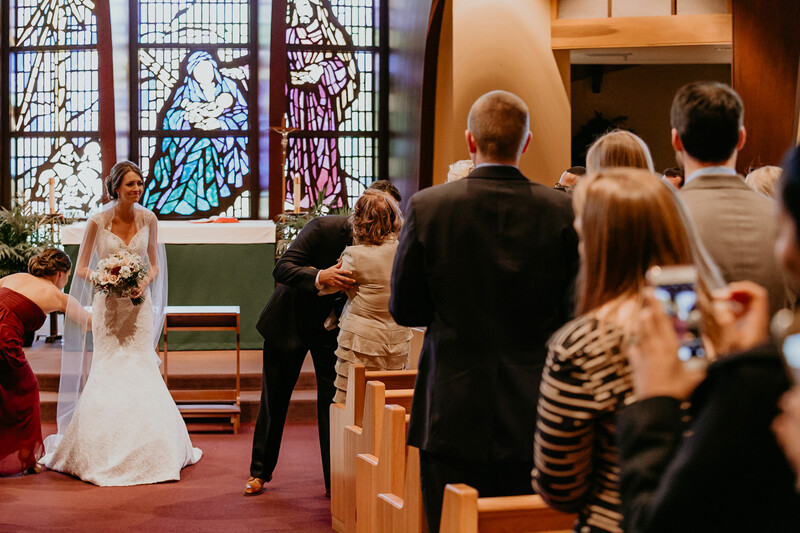 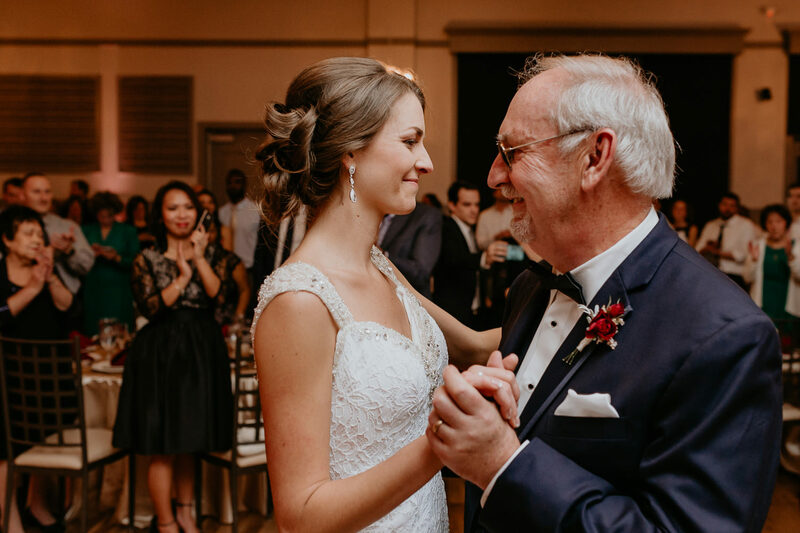 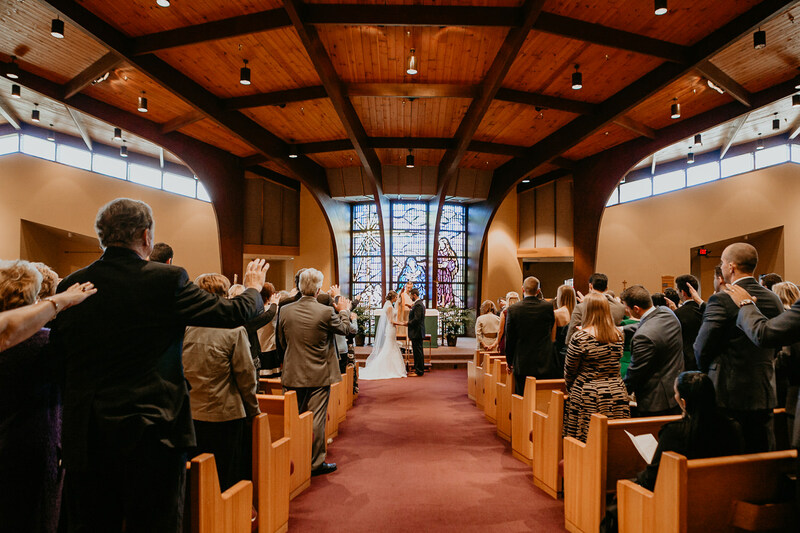 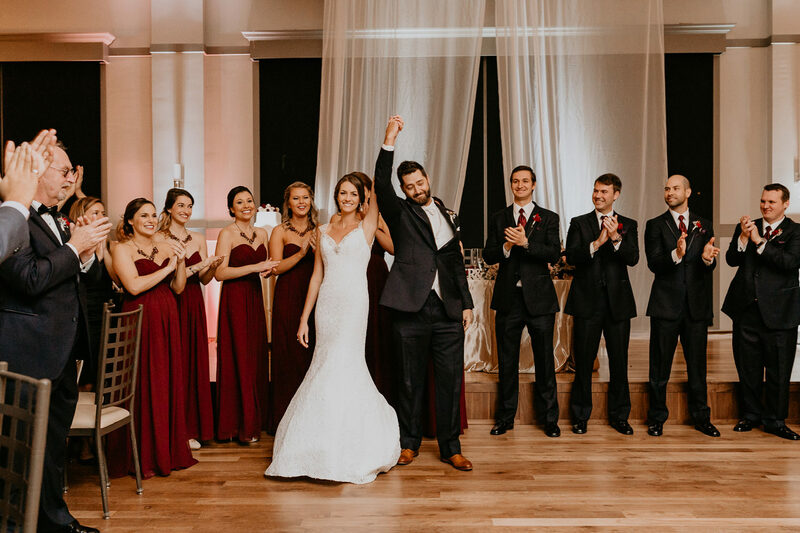 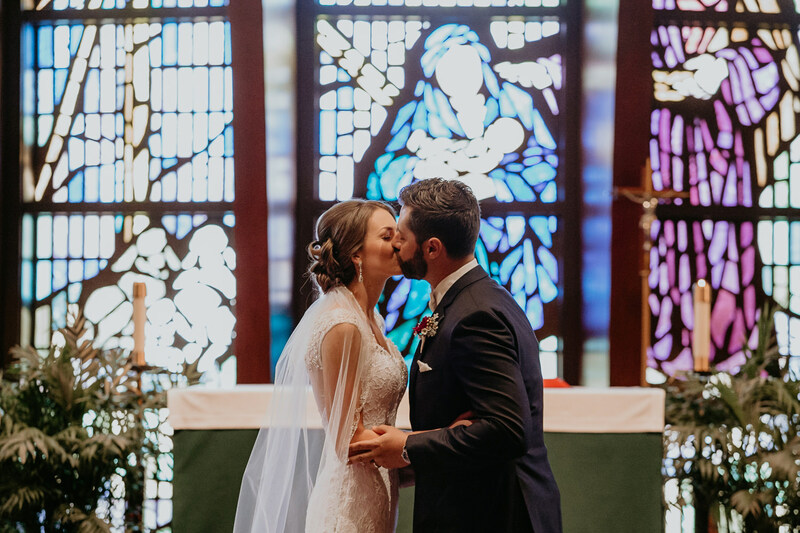 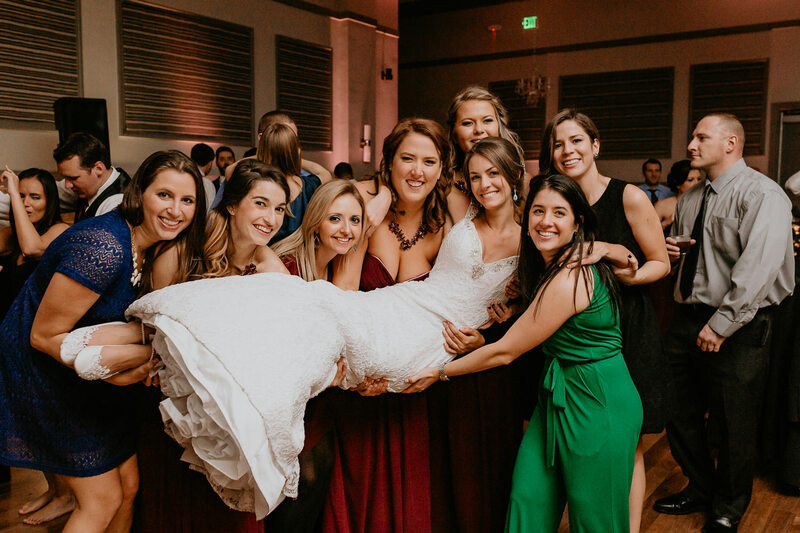 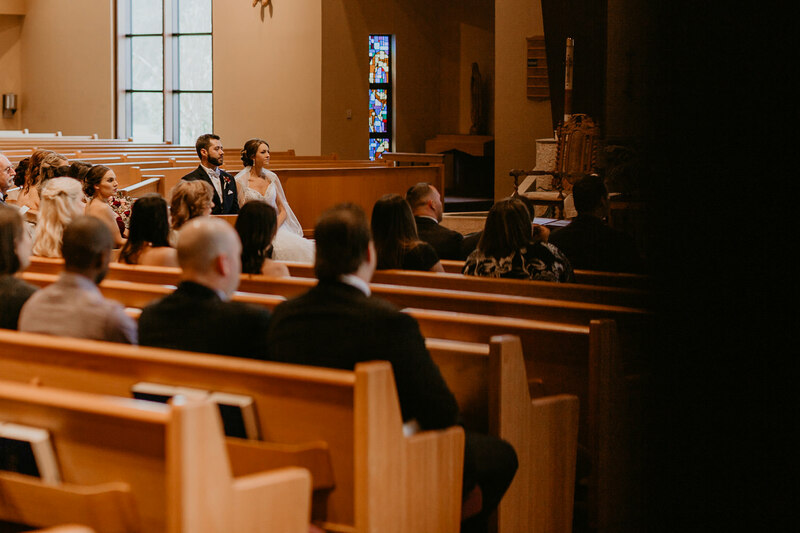 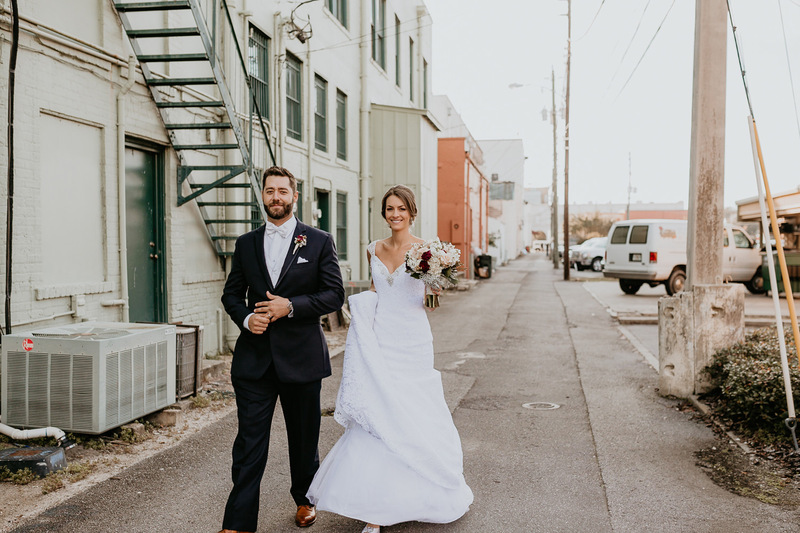 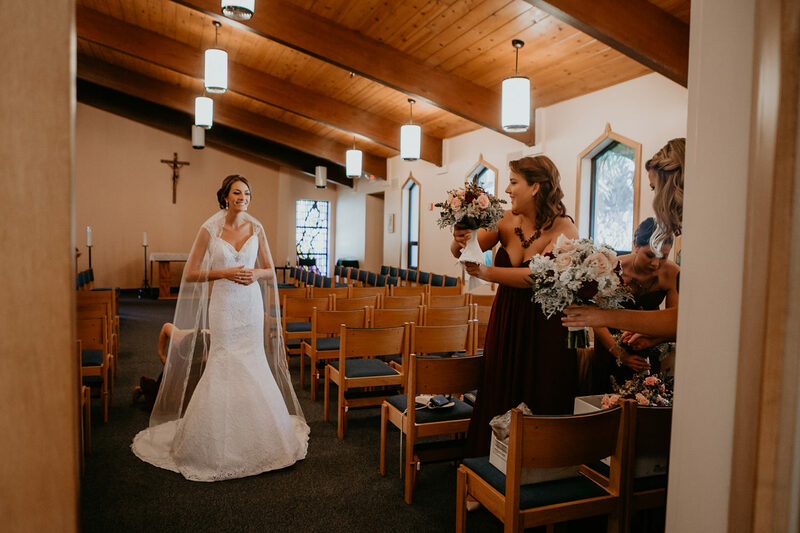 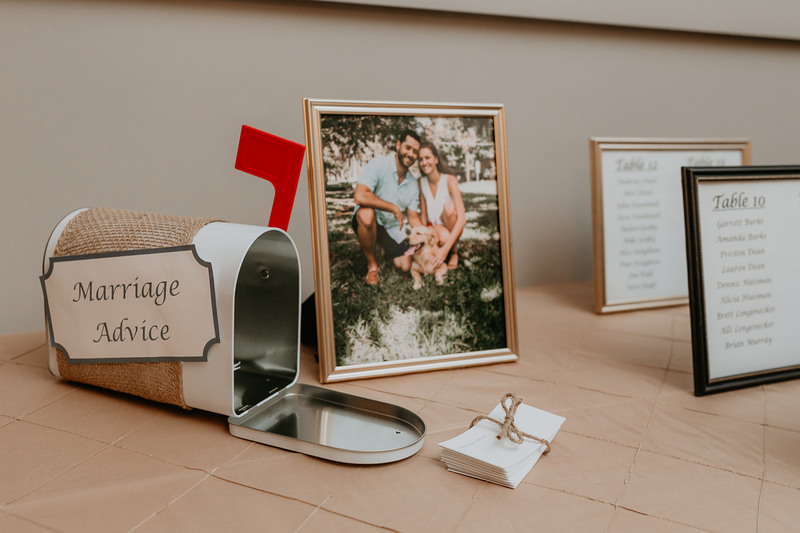 As it is with most Catholic ceremonies, it was early in the afternoon which meant that there would be an almost 3-hour gap between the end of the ceremony and the reception. 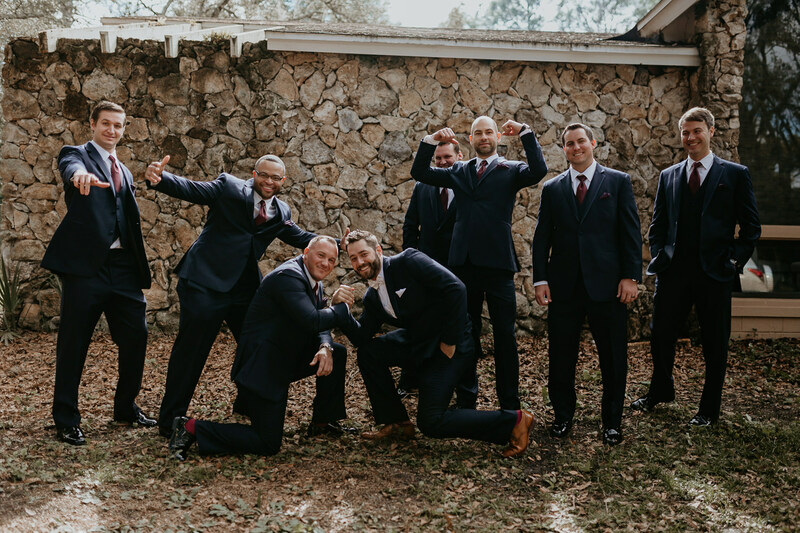 So we had plenty of time to do pictures in between with no rush whatsoever. 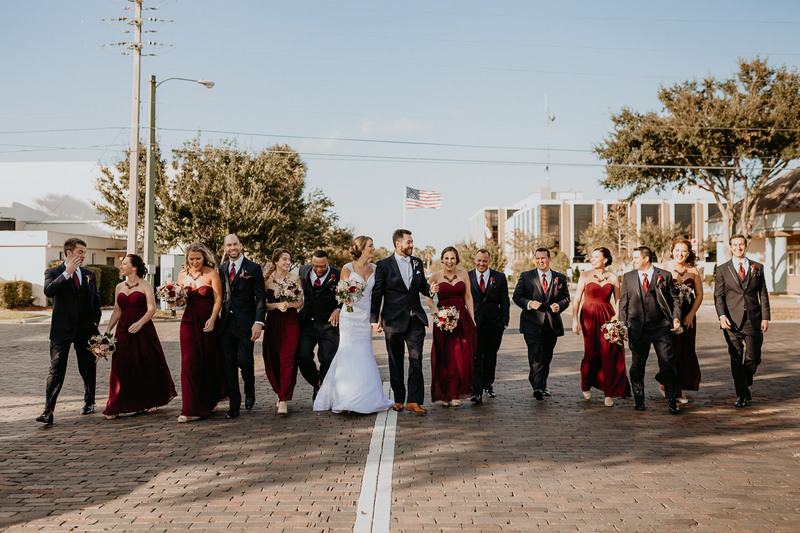 After the family pictures inside the church, the bridal party and we all got in the limo and rode to downtown Sanford for pictures. 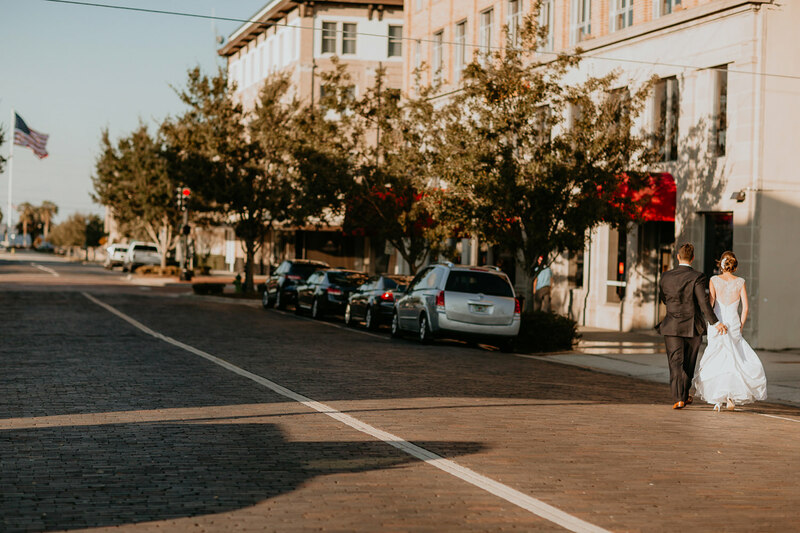 Downtown Sanford is a personal favorite in Central Florida for pictures. 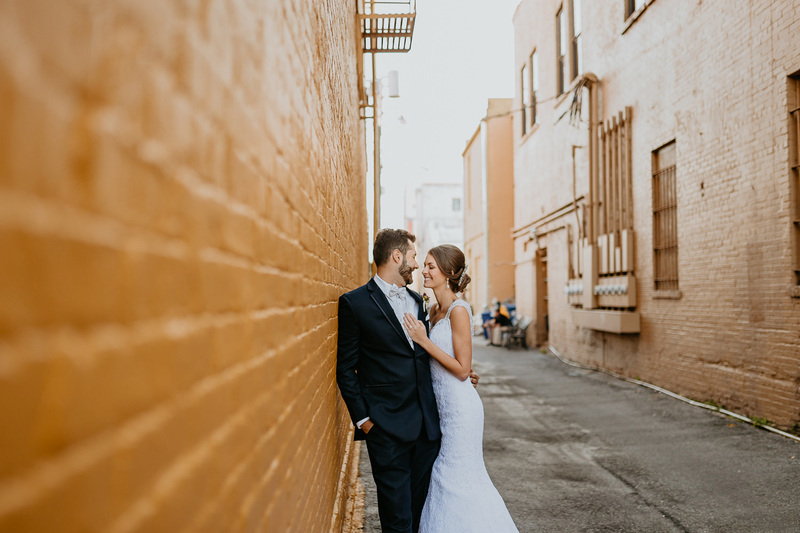 It’s an old town so the buildings and alleys have character, most of the streets are cobblestone or brick, and there’s a huge lake. 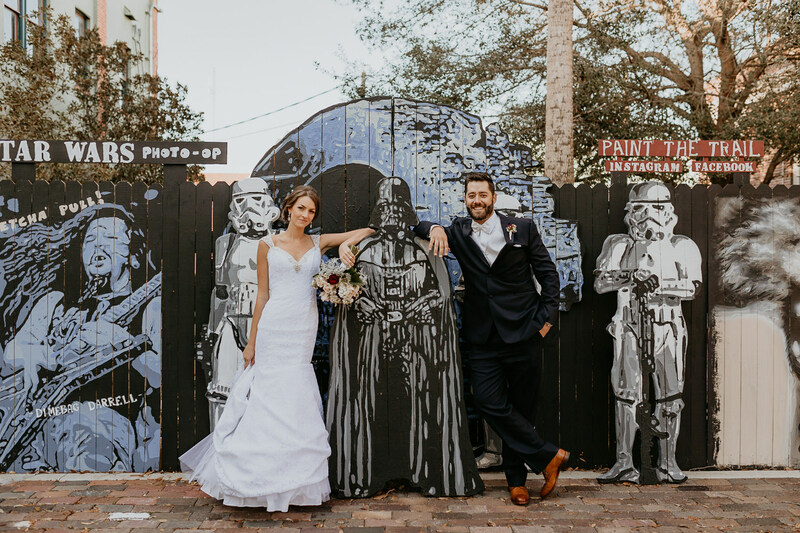 It’s a small downtown area which also means a smaller crowd than say downtown Orlando, much easier to photograph around people. 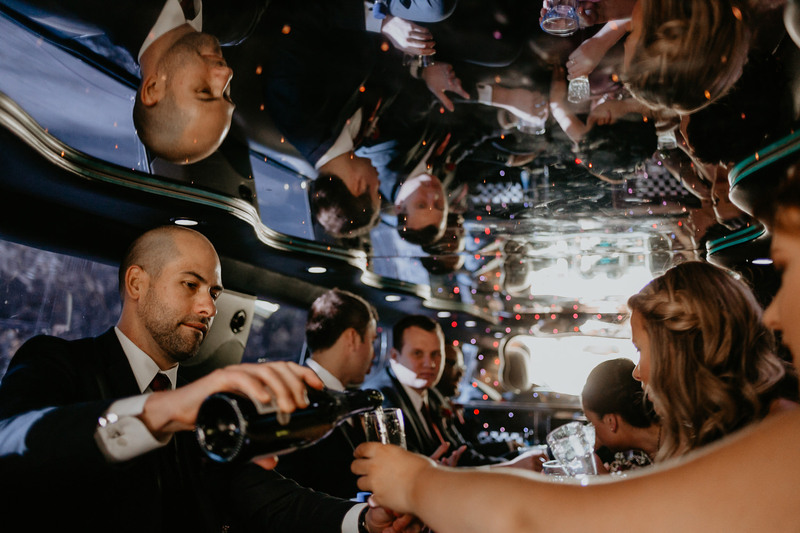 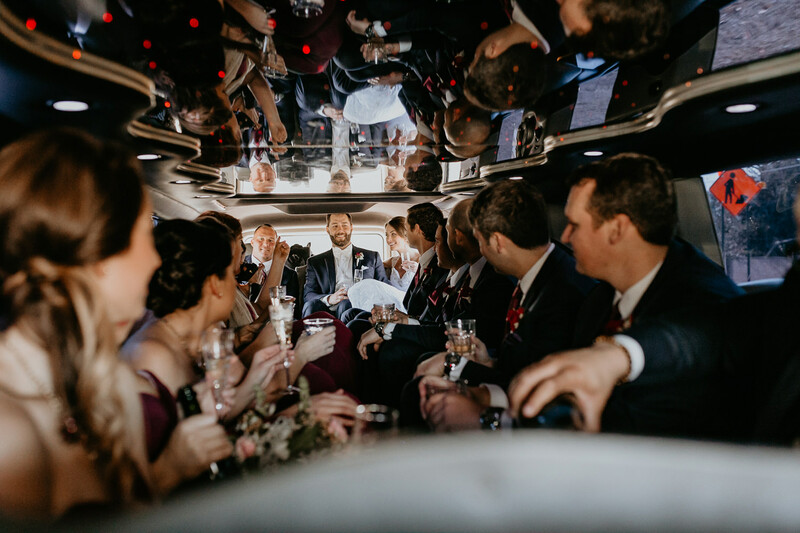 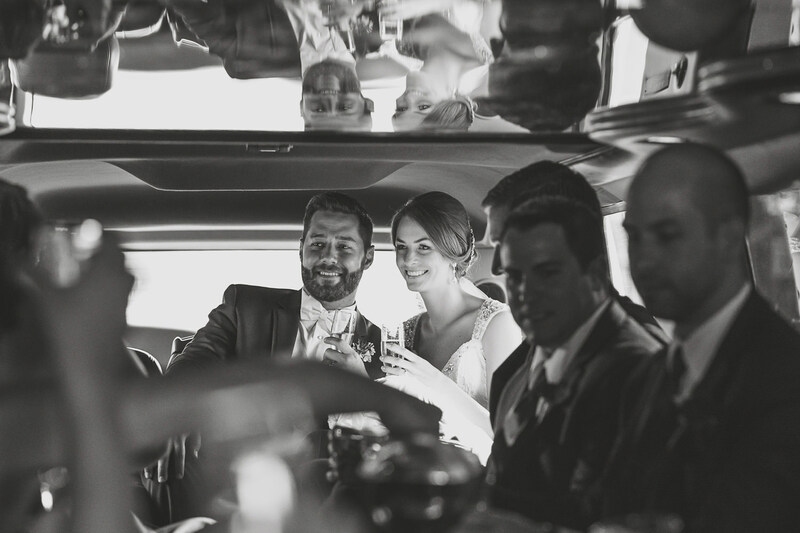 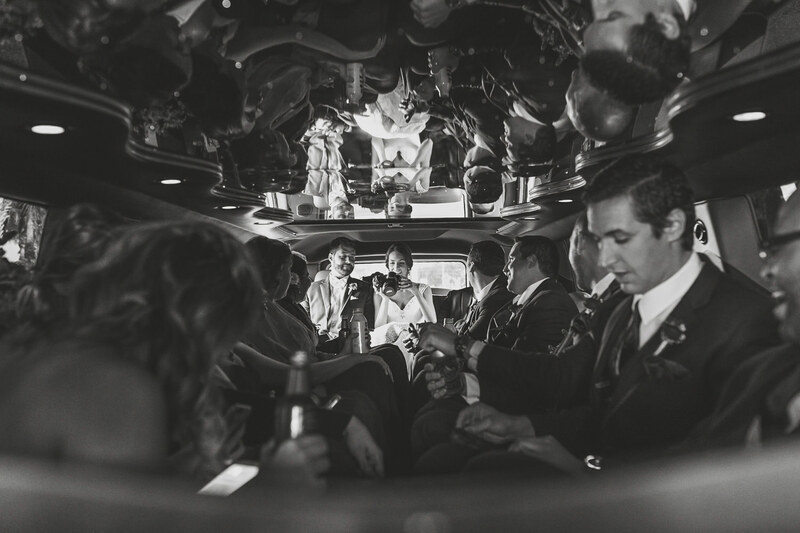 Then we all got back into the limo and it was on to the reception. 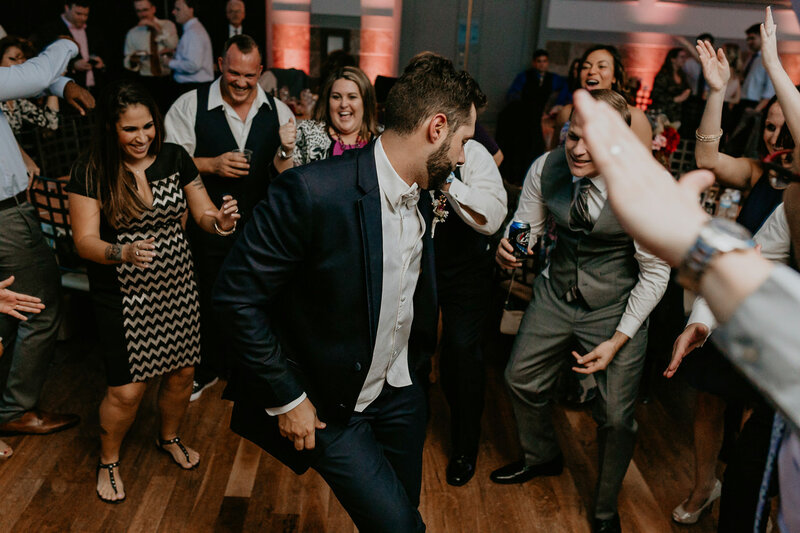 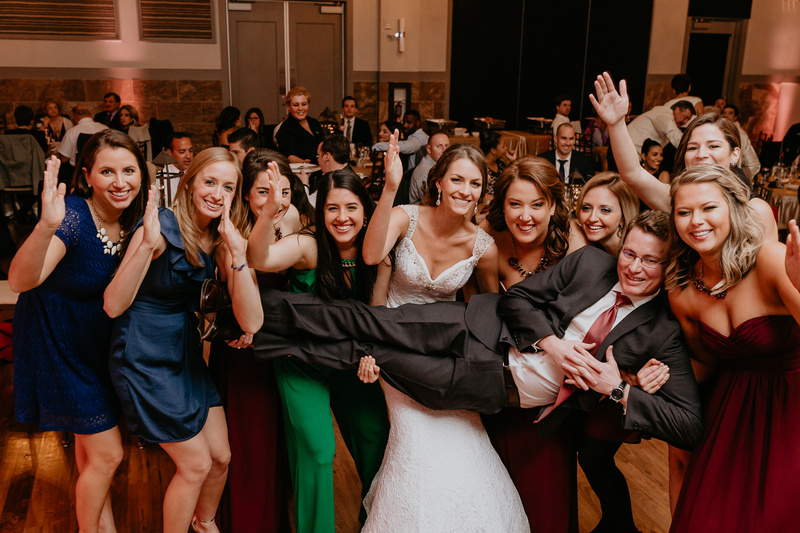 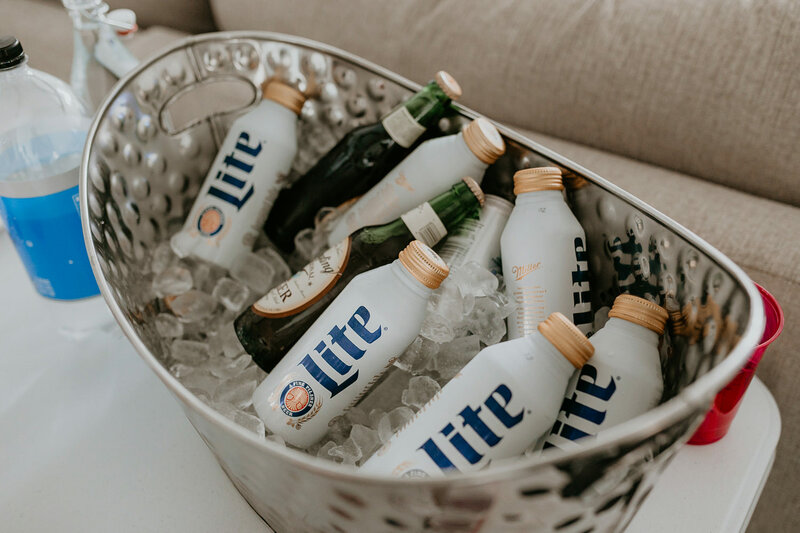 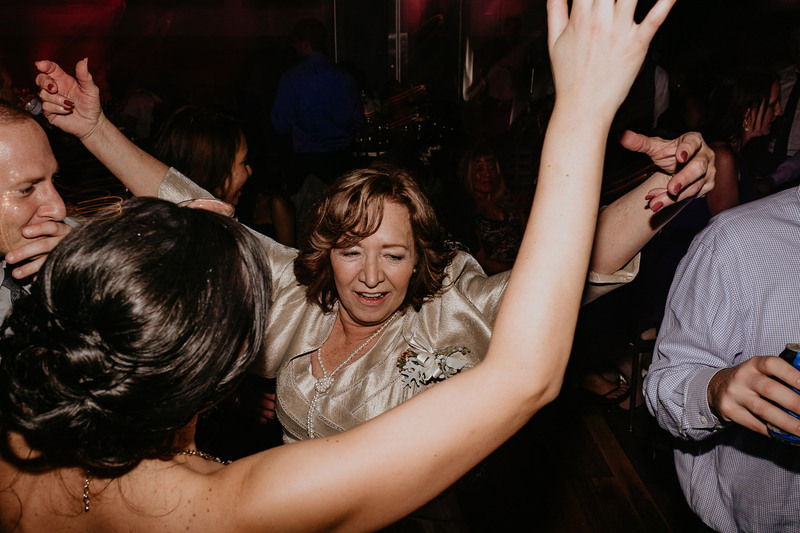 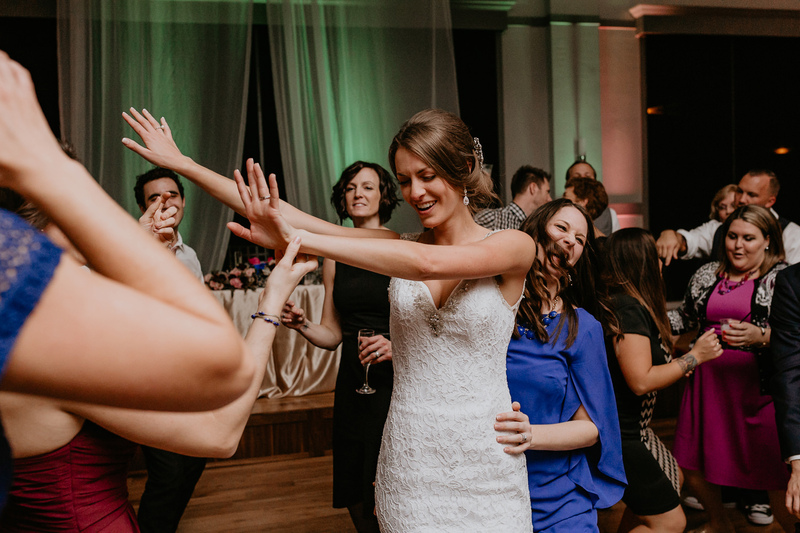 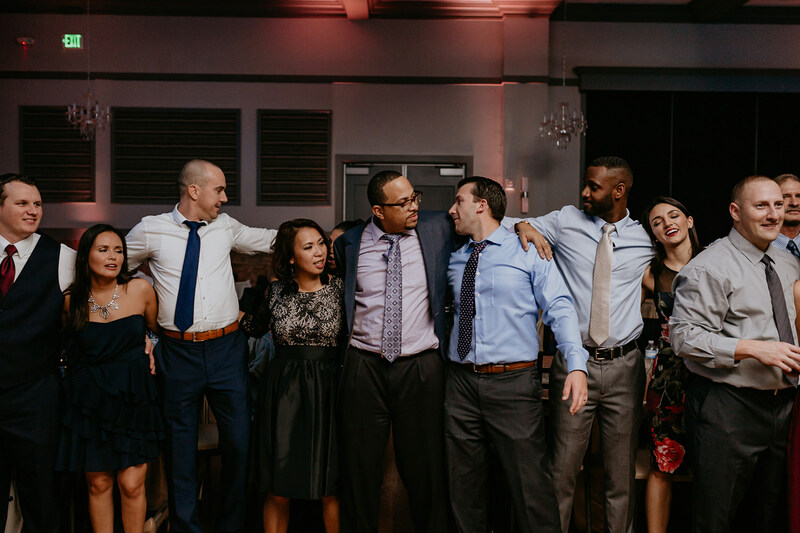 What can I say about the reception other than…what a party! 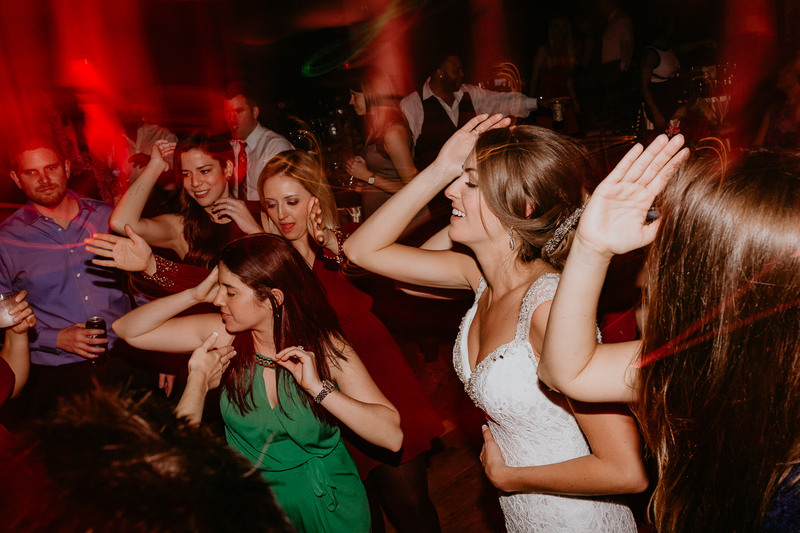 As you’ll see in the pictures below, it was a lot of singing and dancing, hugging and laughing, the entire evening. 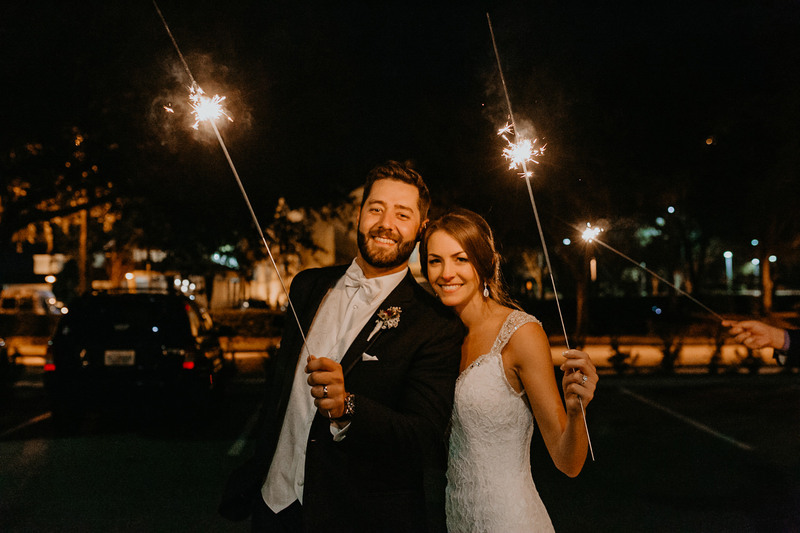 Capped off at the end with a sparkler exit. 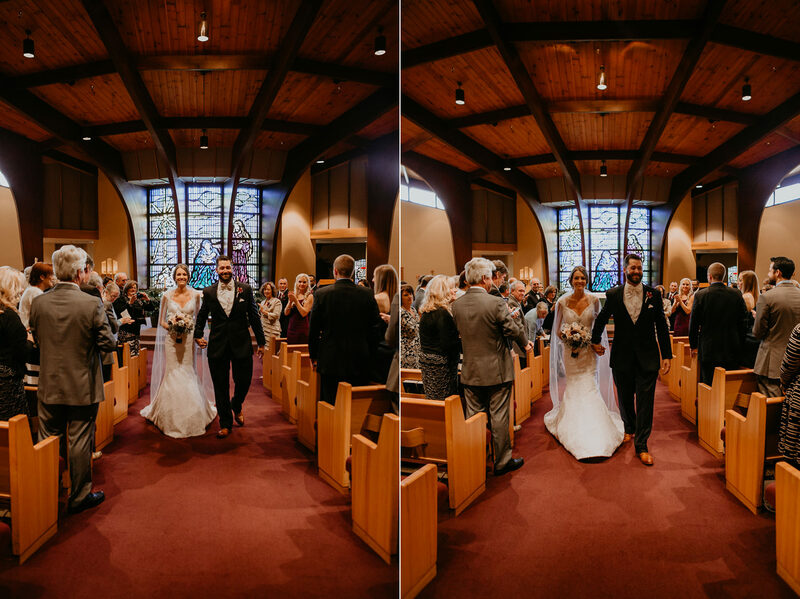 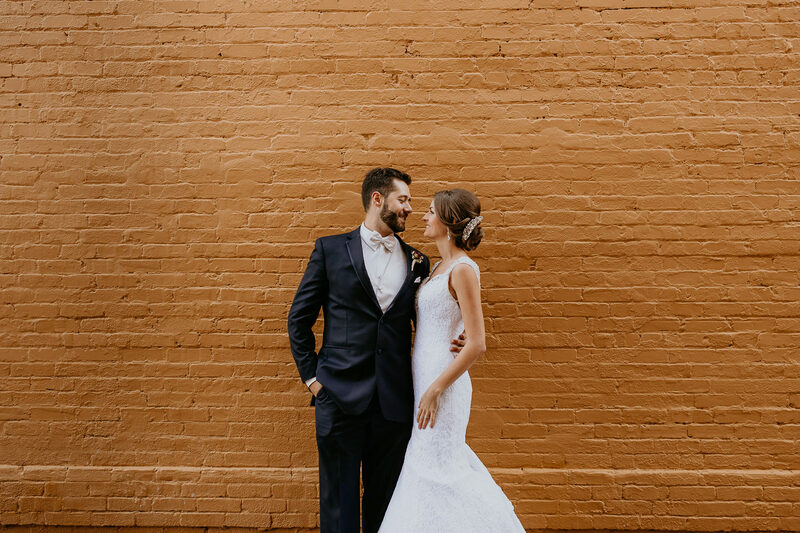 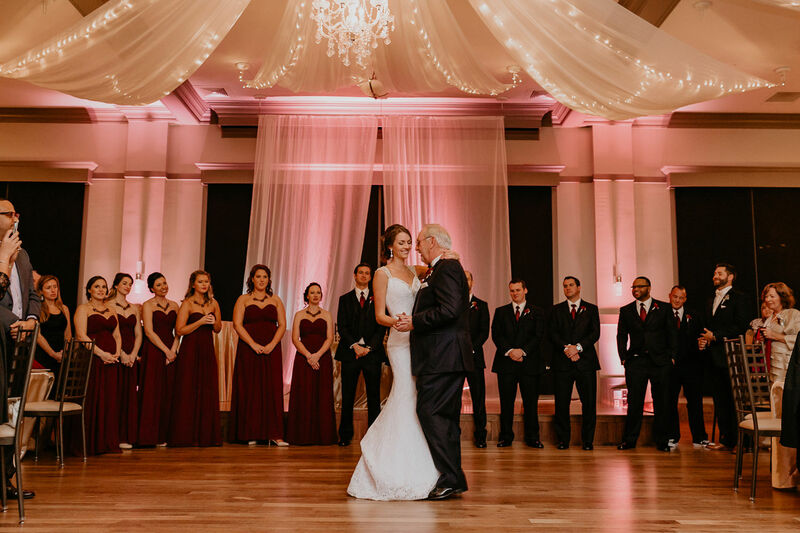 Truly a perfect wedding day!